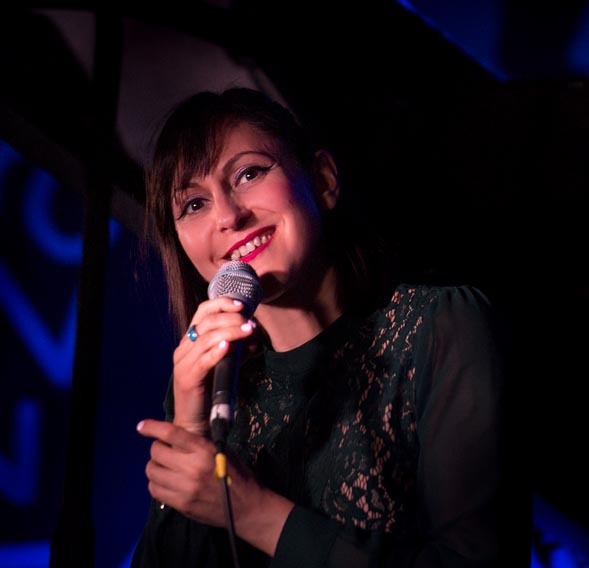 Georgia Mancio is to follow up her successful 2017 album Songbook with Alan Broadbent with a new album made in conjunction with pianist and composer Kate Williams. 'Finding Home' is released on 1st June and features Kate's group Four Plus Three (string quartet + piano trio) and guest guitarist John Williams. We shall be featuring the album in a later issue. In the meanwhile, the band is on tour and you can find details if you click here. 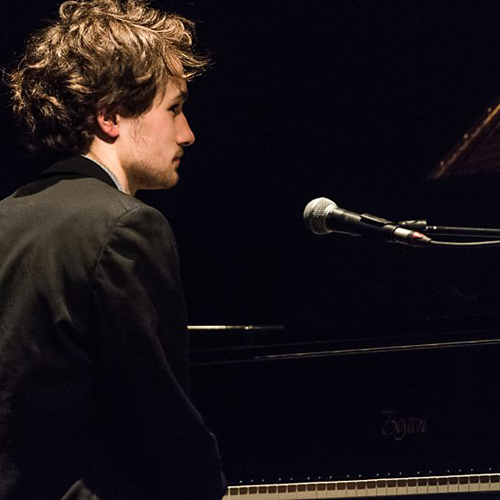 Young Scottish pianist Fergus McCreadie takes his trio on the road during April and May, playing concerts in London and Nottingham as well as gigs in Scotland, Sweden, Norway, Lithuania, and Estonia. 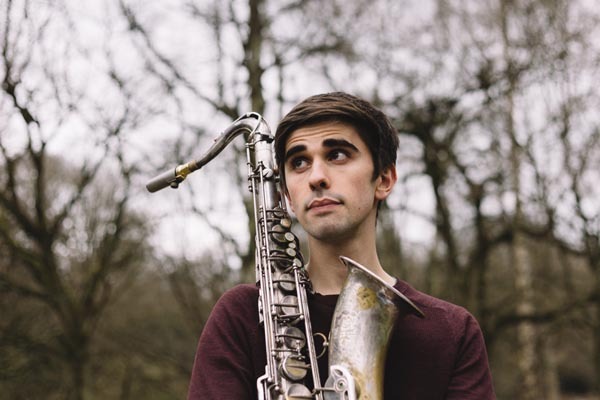 Twenty-one-year-old McCreadie, who was a finalist in the BBC Young Jazz Musician competition in November, having earlier won Best Instrumentalist at the Scottish Jazz Awards 2018, graduated from the Royal Conservatoire of Scotland’s jazz course last June. He released his first album, Turas, while still a student at the RCS and celebrated the beginning of his career as a full-time professional musician by appearing, with his trio, at Glasgow, Edinburgh and Oslo jazz festivals. McCreadie’s playing, which has influences including McCoy Tyner, Keith Jarrett and Brad Mehldau as well as the bagpipe music he played as a youngster before taking up the piano, has attracted the attention of Scotland’s major winter roots festival, Glasgow’s Celtic Connections, where his trio has appeared for the past two years. The trio, which features fellow RCS graduates, bassist David Bowden and drummer Stephen Henderson, made its Ronnie Scott’s debut in January. Click here for the tour dates and venues (might take a while to load). I doubt that you will find this movie in the main multi-screen complexes, but this highly acclaimed film is currently in cinemas. 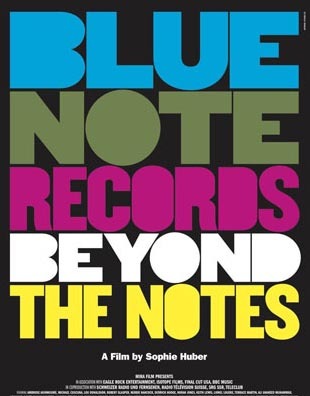 Blue Note Records : Beyond The Notes '.... explores the unique vision behind the iconic jazz record label. Through rare archival footage, current recording sessions and conversations with Blue Note artists, the film reveals a powerful mission and illuminates the vital connections between jazz and hip hop. One of the most important record labels in the history of jazz — and, by extension, that of American music — Blue Note Records has been home to such groundbreaking artists as Miles Davis, Thelonious Monk, John Coltrane, Bud Powell and Art Blakey, as well as present-day luminaries like Robert Glasper, Ambrose Akinmusire and Norah Jones. Founded in New York in 1939 by German Jewish refugees Alfred Lion and Francis Wolff, the history of Blue Note Records goes beyond the landmark recordings, encompassing the pursuit of musical freedom, the conflict between art and commerce and the idea of music as a transformative and revolutionary force. Through rare archival footage, current recording sessions and conversations with jazz icons Herbie Hancock, Wayne Shorter and today’s groundbreaking Blue Note musicians, Blue Note Records : Beyond The Notes reveals a powerful mission and illuminates the vital connections between jazz and hip hop'. Writing in The Guardian, and giving the film 4 stars, Leslie Felperin calls it a 'damn-near immaculate music documentary' and goes on to say ' .. this doesn't feel like a slick, bland exercise in self-promotion. Instead Huber (director Sophie Huber) crafts a respectful, crisply told history of the label, drawing from original recordings, vintage audio and studio chatter, and talking heads interviews .....Some viewers will long for more detailed analysis of the music, while others will note the near-absence of women, apart from vocalist Norah Jones. But otherwise this hits every music-doc note with exceptional clarity'. Click here for more information about the film. Click here for the movie trailer. On 26th March, reports announced that the European Union was backing proposals for new rules that hold tech firms responsible for material posted without copyright permission. A report by the BBC says: 'Copyright is the legal right that allows an artist to protect how their original work is used. Tech companies have argued that artists are already paid fairly under the current system. Google said it would "harm Europe's creative and digital industries". Many musicians and creators say the legislation will compensate artists fairly - but others argue that they will destroy user-generated content'. 'The two clauses causing the most controversy are known as Article 11 and Article 13. 'It means they would need to apply filters to content before it is uploaded. Article 13 does not include cloud storage services and there are already existing exemptions, including parody, which, for example, includes memes. It was Article 13 which prompted fears over the future of memes and GIFs (stills, animated or short video clips that go viral) since they mainly rely on copyrighted scenes from TV and film. Critics claimed Article 13 would have made it nearly impossible to upload even the tiniest part of a copyrighted work to Facebook, YouTube, or any other site. However, specific tweaks to the law made earlier this year made memes safe "for purposes of quotation, criticism, review, caricature, parody and pastiche". 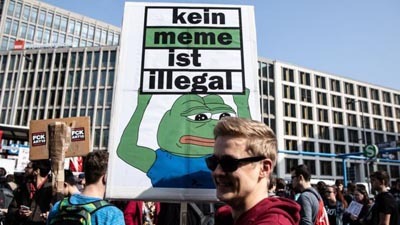 The European Parliament said that memes would be "specifically excluded" from the directive, although it was unclear how tech firms would be able to enforce that rule with a blanket filter'. 'It has taken several revisions for the current legislation, which was was backed by 348 MEPs, with 274 against, to reach its final form. It is now up to member states to approve the decision. If they do, they will have two years to implement it once it is officially published'. Click here for the full BBC report. Liz Biddle at Upbeat Recordings has announced that the company was offered Dine-a-mite jazz a few weeks ago. This label was formerly owned by Mike Dine's 504 Records. Going forward, 504 Records only wanted American jazz on its label "and so we were pleased to keep the British albums alive by buying this small but super label. We think British jazz is fab! We have renamed the label Upbeat Dynamite Jazz", says Liz. Upbeat is a mailorder company specialising in Jazz and Nostalgia music. 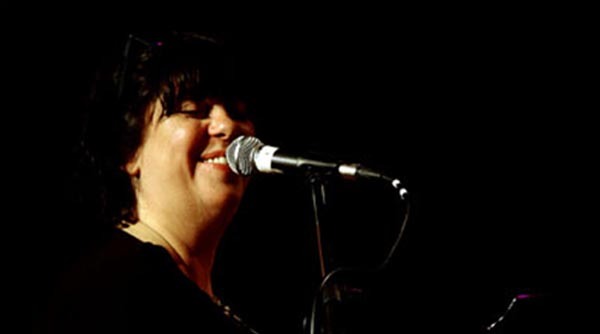 Founding director Liz Biddle read Music at Aberystwyth University and later gained an MA in Performance Studies at the Guildhall School of Music and Drama. She is an accomplished musician and plays bassoon, piano and guitar. She founded Upbeat Recordings in 1989 to record some of the managed artists - and Upbeat is now an established label for jazz in the UK. The Matt Carmichael Quartet plays Matt's recent composition Safari - Matt Carmichael (tenor saxophone/compostion); Fergus McCreadie (piano); Ali Watson (double bass); Tom Potter (drums). Matt Carmichael is a young saxophonist from the Scottish Highlands. He is currently studying at the Royal Conservatoire of Scotland and regulary performs around Scotland with bands including The Tommy Smith Youth Jazz Orchestra, National Youth Jazz Orchestra of Scotland, The Mark Hendry Octet, Fat Suit and many more. The band released their first EP in April last year. 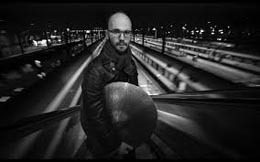 Introductory video for drummer, composer and bandleader Marton Juhasz's album Discovery with an international line up including Yumi Ito (vocals, text,): Sergio Wagner (trumpet, flugelhorn); Paco Andreo (valve trombone); Enrique Oliver (tenor saxophone); Szymon Mika (guitar); Olga Konkova (piano, fender Rhodes); Danny Ziemann (upright bass). Marton talks about the background to the album in this month's Full Focus article on the tune Little Prayer (click here). Bessie Smith sings the St Louis Blues. 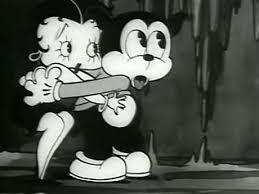 Apparently this is Bessie's only existing film appearance. Although the footage is rather 'crackly' 'this is not only a landmark because it contains Bessie Smith's only known film appearance but also for being one of the very first talkies ever made. This is the complete film (almost 16 minutes) co-starring Jimmy Mordecai as her (cheating) gigolo boyfriend. This film fell into the public domain in 1958 due to lack of copyright renewal'. Made in 1929, the IMDB says that the piano player is James P Johnson and that W C Handy is the co-producer and one of the music arrangers. Sadly the rest of the band and the dancer seem to be unknown. Gabriel Latchin talks about his very engaging new Trio album The Moon And I with Dario Di Lecce (bass); Josh Morrison (drums) and gives us a taste of some of the tunes (see Recent Releases section for details). Here's Red Nichols and his Five Pennies on Lawrence Welk's New Year's Eve show, on Saturday, December 29, 1956, playing Louisiana, Fidgety Feet and Maple Leaf Rag. The band: Red Nichols (cornet), Bill Wood (clarinet), Al Stevenson (piano), Joe Rushton (bass sax), King Jackson (trombone), Rollie Culver (drums). This is, of course, much later than the early Red Nichols tracks most people remember, but I think that his style still comes across clearly in Louisiana. 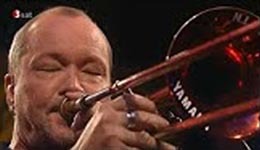 2007, and trombonist Nils Landgren plays this beautiful version of Silent Way with the NDR Big Band conducted by Magnus Lindgren. 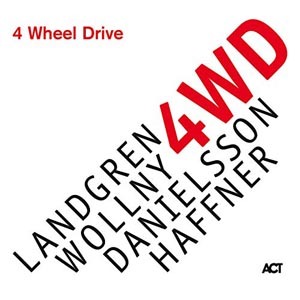 Nils Landgren is also a member of '4 Wheel Drive', the band whose work Howard Lawes writes about this month - click here. Click here to visit the Video Juke Box choices from the past six months. [You are able to listen to the music at the same time as reading this article and without leaving the page if you click here (recommended). This will take you to the article on another page on our website where some computers might ask you to allow the music to play on the page. Alternatively there are links to the music on YouTube etc. in the article below]. Listen to an audio recording of Webster in fine ballad form playing Stardust live with the Duke in 1940 (click here). Webster left Ellington’s band in 1944 after an argument with the Duke and then worked mainly as a freelance player collaborating with the likes of Oscar Peterson, Coleman Hawkins, Art Tatum and Gerry Mulligan. Here he is playing with Mulligan on the Dinah Shore Show in 1962 (click here). They play two numbers – Go Home and Who’s Got Rhythm. The set is a good illustration of Webster’s style on up tempo numbers which was very different from his treatment of ballads. A harsh, rasping growl enters into his playing which can be extremely effective and exciting but, it has to be said, is not to everyone’s taste. And then came his trip to London in 1964. Here he is playing A Night In Tunisia with Ronnie Scott and Stan Tracey at around the time of his visit (click here). This is followed by a blistering version of Ellington’s Blues in B-Flat. (The spat with the Duke doesn’t seem to have affected Webster’s regard for him as a composer: three of the six pieces on the album are Ellington tunes). 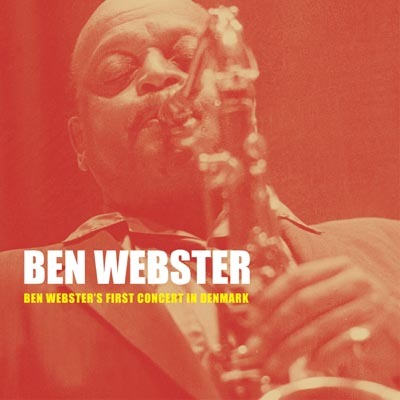 Webster’s improvisations are imaginative and absorbing and he hits a groove, driven on by the other musicians and the live audience. The other musicians take solos with Kenny Drew being particularly impressive. Click here to listen to the track. The last full track is Over The Rainbow, another ballad. 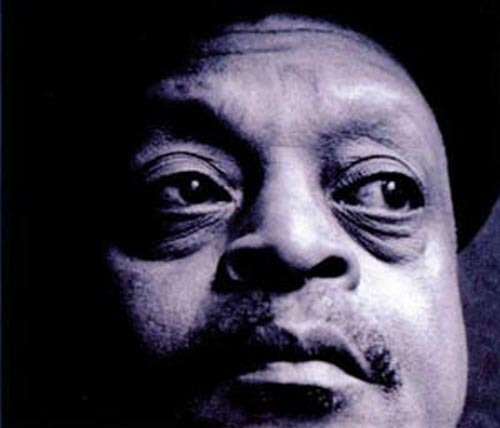 Webster is quoted in the sleeve notes as once saying, “Remember, there’s only three tempos in jazz: slow, medium and slow”. Well, Over The Rainbow here is taken at a fourth tempo, very slow. Even so, Webster has the knack of playing the tune as if it’s never been played before. The hackneyed tune is shorn of its schmaltz revealing what a beautiful piece of music it really is. Click here for a video of Webster playing Over The Rainbow live with Stan Tracey on piano. This month we give you clues from song lyrics to the identites of fifteen people - can you work out who they are? Who was 'the roughest, toughest frail But had a heart as big as a whale'? Click here for the Jazz Quiz. It was a long time since I had been to a Hi-Fi Show, but at the end of March I caught the end of a three day show at Bristol's Marriott Hotel. I went to see what might be 'New in the World of High Fidelity'. Some things were much the same as years ago - demonstration rooms with rows of seats where men listened intently to large floor-standing speakers; in fact, as in the past there were very few women around. I wondered how it is that audiophiles appear to be predominantly male? I wanted to see whether there were more record decks on display reflecting the apparent re-emergence of vinyl, and there were. Most of the companies displaying equipment had them as part of their display and there were some companies specialising in them. As you might expect from an audiophile fest, turntables ranged in price from around £350 to many thousands of pounds. I spoke to a rep from the Linn stand, that Scottish company, still family-owned, that has carried its reputation well over the years. Linn also releases vinyl. I was told that their vinyl sales had remained steady without significant growth but that their current research and development work was largely about improving the quality of streamed music - that was where the general interest seemed to be. What I had not seen before were the stands, four of them, that were promoting record cleaning equipment that could not only replenish your vinyl or shellac, but apparently make them sound better than when they were new. In three cases, records were suspended vertically in a solution, spun (by hand or automatically), treated and dried. One example is the Juno System at £69.30. The product description says: 'With the Spin-Cleanr MKII standard unit and included accessories, you're ready to begin removing the grime from your grooves. 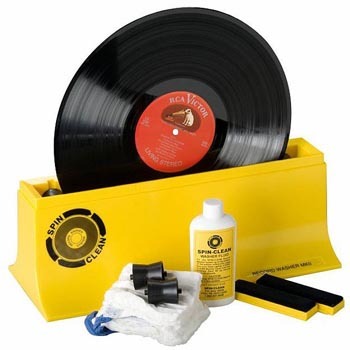 Whilst there are cheaper record cleaning brushes available on the market, the Spin Clean Record Washer system is by far the best in terms of removing dust, fingerprints and static from your LP records. The kit comprises fluid bath, a 4oz bottle of cleaning fluid, lint-free drying cloths, 1 pair of brushes, 1 pair of rollers and an instruction manual. Spin Clean Record Washer System Mk II achieves amazingly effective cleaning power of records due to the special cleaning fluid that grabs hold of the dirt and makes it sink to the botton of the fluid tank, ensuring that your records remain uncontaminated during the cleaning process. Both sides of the record are cleaned at the same time by the Spin Clean Record Washer System Mk II. At nearly £2,000 is the Keith Monks discOveryOne Redux ... 'a compact version of the classic Keith Monks record cleaning machine in an affordable package. Ultra-simple operation, too: apply fluid straight onto the record through the on-deck brush holder via the integral Mini Cooper hand pump , then move the suction arm. The Redux does the rest, quietly, effectively, and even shuts itself off when finished. Cleans both sides of an LP in under three minutes'. 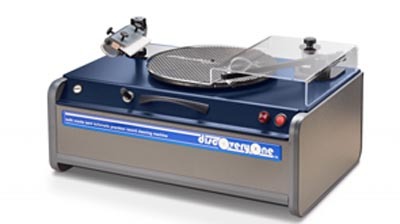 ... 'From the makers of the world's first electric Record Cleaning Machine. Originally designed and developed with engineers at the BBC, and trusted by the British Library National Sound Archive, the US Library of Congress and most major libraries and archives around the world'. Of course there are other similar products and I am not in a position to recommend any of the above as I don't have one. 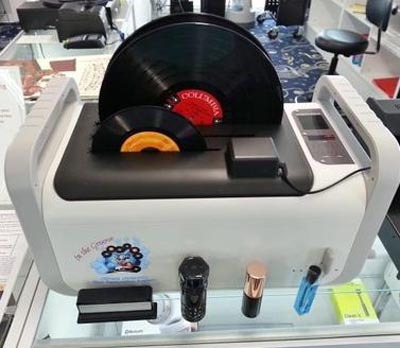 I did say to the man in a white lab coat on the Kirmussaudio stand that I remember my late father recommending that you can improve the sound of old 78 rpm shellac records by putting black shoe polish on them before you play them with the steel needle. I don't think he was impressed! Click here for more Alternative Definitions. 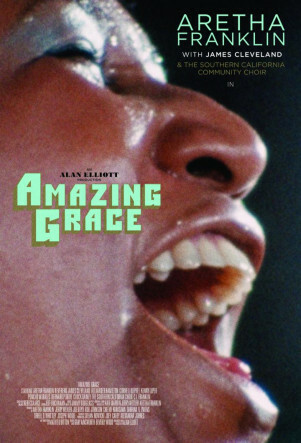 Another film of interest is Amazing Grace, due to be in cinemas in May. It is a documentary presenting Aretha Franklin with choir at the New Bethel Baptist Church in Watts, Los Angeles in January 1972. The film has only recently been released for general viewing. Click here for our Jazz Voices page. Go to our Jazz As Art page, play the tune and scroll slowly down through the pictures I have chosen to go with the music (I think this only works if you spend time with each painting). See what you think. Click here for the Jazz as Art page. Musicologists Klaus Frieler, Frank Höger and Martin Pﬂeiderer from the Institute for Musicology, University of Music “Franz Liszt”, Weimar, Germany and Simon Dixon from the Centre for Digital Music, Queen Mary University of London, UK recently presented a paper at the 19th International Society for Music Information Retrieval Conference, Paris, France, 2018 entitled Two Web Applications For Exploring Melodic Patterns in Jazz Solos. 'Musicology' is described as 'the academic analysis of music from various points of view with computational analysis being one. With each note having a defined pitch and each tune in the simplest of terms being a series of notes with defined intervals between notes, it is possible to record and define any piece of music mathematically and use computers to process the information'. In the introduction to the paper the authors state - "This paper presents two novel user interfaces for investigating the pattern content in monophonic jazz solos and exempliﬁes how these interfaces could be used for research on jazz improvisation. In jazz improvisation, patterns are of particular interest for the analysis of improvisation styles, the oral transmission of musical language, the practice of improvisation, and the psychology of creative processes. "The ongoing project “DigThatLick” is devoted to addressing these questions with the help of a large database of jazz solo transcriptions generated by automated melody extraction algorithms. To expose these transcriptions to jazz researchers, two prototypes of user interfaces were designed that work currently with the 456 manually transcribed jazz solos of the Weimar Jazz Database". For those of us who are not musicologists there is still a wealth of interest in the Weimar Jazz Database. Use this link (click here) which takes you to the Jazzomat Research Project web page which is jam-packed with goodies for everybody from computer specialists to jazz fans. The second line in the list of contents is a link to Weimar Jazz Database (WJazzD), by clicking on this you get three links one of which is Database Content, which in turn provides a list of 456 examples of the greatest ever jazz and with each you get a transcription in C, Bflat or Eflat so you can play it yourself on your chosen instrument. Alternatively if you click on JazzTube you get any available links to YouTube videos of your chosen artist. The element of the project called 'Dig That Lick' is accessed here. This facility allows you to search the whole database for short musical phrases or motifs which you can either describe numerically or play on a virtual keyboard. As Frieler et al say, these applications are aimed on the one hand at an expert audience of jazz researchers to facilitate generating and testing hypotheses about patterns in jazz improvisation, but on the other hand at a wider audience of jazz teachers, students, and fans. They also have a Facebook page here. 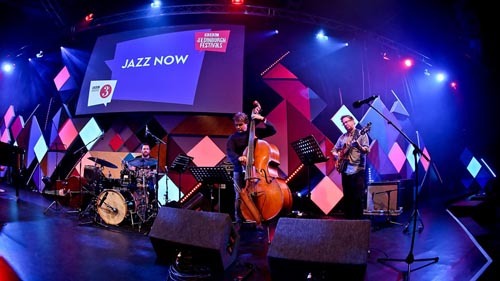 Jazz and TV history will be made in May when the iconic 1960’s BBC show Jazz 625 returns for one night only on BBC Four, broadcasting live from the 2019 Cheltenham Jazz Festival. The show will feature a house band led by acclaimed British pianist Robert Mitchell, with special guests including Grammy-winning vocalist Gregory Porter, US saxophonists Joshua Redman and Jean Toussaint, rising star jazz guitarist Shirley Tetteh, and singer Jacqui Dankworth. There will also be an exclusive recorded performance from Rolling Stones drummer Charlie Watts, showing off his jazz-chops in a quartet with saxophonist Scott Hamilton, and a new interview with Dame Cleo Laine reflecting on her performance on a classic edition of Jazz 625. 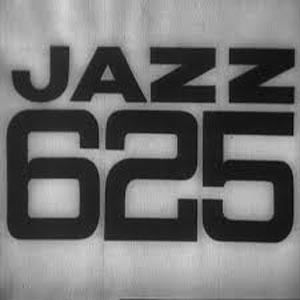 Jazz 625 broadcast on BBC 2 from 1964 to 1966, and featured classic performances from the likes of Duke Ellington, Thelonious Monk, Dizzy Gillespie, Ronnie Scott and Dave Brubeck. This one-night revival will feature selections from the archive and live music from the house band, with guests paying tribute to those who performed in the original series. In tribute to the original series, the programme will air in black and white, marking the first live black and white BBC TV show since 1974. Jazz 625 will broadcast live on BBC Four at 9pm on Friday 3rd May. Click here for more information. A display celebrating Jazz 625 will run at Cheltenham’s Parabola Arts Centre from Friday 3rd to Sunday 5th May. 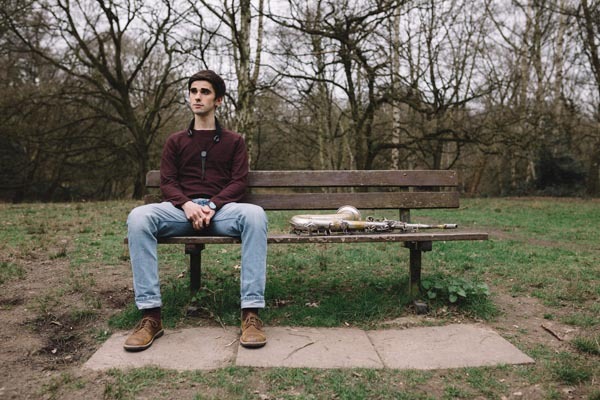 Sam Rapley started playing piano when he was seven and clarinet when he was at Manchester Grammar School. His piano teacher was jazz pianist Robin Joiner and by the time Sam was fourteen, he wanted to join the school jazz band, but as there was only a saxophone vacancy, he turned to the tenor sax, picking it up quite quickly and soon preferring it to his other instruments. He played with the Wigan Youth Jazz Orchestra and the Andy Schofield/Jo McCallum Big Band and went on to establish a quintet with trumpet player Adam Chatterton. After a gap year, he went to London’s Royal Academy of Music in 2010 and after graduation remained in London working with a number of bands. 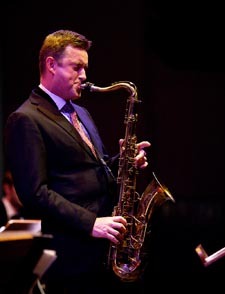 In 2013 he was commissioned to write a piece for the Cheshire Youth Big Band as part of an Arts Council funded project that also saw compositions from eleven other jazz musicians including Gwilym Simcock, Stan Sulzmann and Mike Gibbs. The piece was subsequently recorded and the score released for youth bands nationwide. In 2014, Sam wrote the score for the independent film, Duet, written and directed by Irina Nedelcu, which was accepted into Cannes Film Festival’s ‘Short Film Corner’. Sam set up his band ‘Fabled’ in 2014 with Matt Robinson (piano), Alex Munk (guitar), Conor Chaplin (bass) and Will Glaser (drums) and their EP was released in 2015. 'This might only be a four-track EP, but it is worth every minute and puts down a strong marker for reeds player Sam Rapley'. Alongside his work with Fabled, Sam is busy on a variety of projects. He is in demand as a sideman, playing regularly with the Misha Mullov-Abbado Group, Troykestra, Maria Chiara Argiro Quintet, Waaju and Ralph Wyld’s Mosaic and has performed extensively across the UK including performances at London Jazz Festival, King’s Place, Wigmore Hall, Ronnie Scott’s, Olympic Park, Lovebox Festival and The Vortex, as well as touring to Germany, Italy, France, Switzerland, Poland, Brazil and Mexico. As a composer, Sam has recently finished scoring his second short film, Prince Harming, and the new album by Fabled called Short Stories came out at the end of 2018. It is good to see that the band personnel has remained the same as with the EP. Hi Sam, thanks for stopping by – can I get you a tea or coffee? How have things been going with the album? I saw that the notes you put out with it described the album as a collection of short stories told through music and taking influence from literature, life, love, death, and anything else anyone writes about’ and that the joy of storytelling is that each individual will interpret these stories and mean something different to each person’. Have you had any feedback that people generally have been able to do that? Things have been going great with the album, we’ve had a lot of lovely feedback about both the album and the gigs we did on our tour. It’s been so rewarding to hear that the music has affected people in some way, it makes all the hard work worthwhile. It was great doing the tour and having the chance to chat to people after the gigs and see what the music meant to them, like I say on the liner notes, each track means something to me but it can be nice not to let the listener in on that and to let them decide what it means to them. It was really interesting hearing different people’s interpretations of the tunes. sat two rows in front. Do you think there is a link between you writing for film and the idea of stories for the album? Yes in some ways. With both disciplines, you have a strong sense of trying to build a narrative and create distinctive moods. I suppose with writing for picture, the music needs to work alongside and not take focus from what’s happening on screen, whereas when you’re writing music for an album, the whole picture needs to be present in the music. I think definitely my music has become more cinematic over the years and writing for film is something I’m hoping to develop more in the coming years. Oh, there are some biscuits here if you fancy some Hob Nob, Bourbon, Garibaldi, chocolate digestives ....? Can’t say no to a Hob Nob! Good choice! Speaking of films, what were Duet and Prince Harming about? How did you get involved and how did you approach writing the music for them? 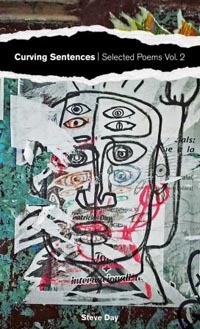 They came about through my friend Irina Nedelcu, who is a fantastic Romanian writer. The processes for each film were quite different. Duet was the first film and it’s about a woman who thinks she hears a piano being played in the flat next to hers and wants to interact by playing a Duet with it. As the piece is so integral to the film, I wrote the music just in response to reading the script, before anything had been filmed. That's a beautiful piece of music. What about Prince Harming? Prince Harming, a dark comedy, was much more conventional in how we did the music, once everything had been filmed I was sent an edit and talked with Irina about main themes and what mood needed to come across and where, etc. then composed from there. It was really interesting trying different approaches on both films and I think the results are quite different. You were touring with Misha’s group in March – did you get a good turn out and response? Yes, it’s been fantastic. We had 6 gigs across the UK and had great turn-outs for all of them. We’ve been playing some new music on this run of gigs that we’re hoping to record later this year. Fabled has a gig booked in Eastcote on 11th May, and another in Scarborough in September – will you be playing music from the album? Absolutely, we loved developing the music from the album on our tour last winter and we don’t feel we’re done with it yet. The best thing about playing in Fabled is that everyone in the band are real improvisers and each night really is different from the last, so we’re looking forward to seeing what else we can do with the album tunes. I’m also in the process of writing some new music that we’re going to be playing on those gigs. If you could invite a past musician to sit in with the band, who would it be and what tune would you want to play? I know Stan Getz was originally an influence, would it be him or someone else? That’s a very tough one! You’re right Stan Getz is a favourite of mine, although I think if he were playing in my band, I wouldn’t want to play, I’d be too busy just listening. I’m not really sure how she’d fit with Fabled but Sarah Vaughan is one of my favourite musicians ever and I would have loved to have played next to her. 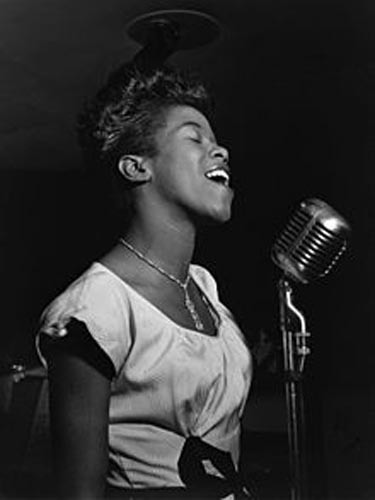 Have you heard Sarah Vaughan sang The Boy From Ipenema? As you would expect it is different to the version by Stan Getz and Joao Gilberto. As you mentioned before, some more gigs coming up with Fabled; we have some new videos coming out very soon which we’re excited about and we’re starting to develop new material and thinking about album number two. And then there's lots happening with other bands I’m in - we’re recording a second album with Waaju in June, hoping to record a third album with Misha Mullov-Abbado later this year and releasing new albums with Maria Chiara Argiro and Teotima. And plenty of gigs around the country with all these different bands, so lots to look forward to! Who else have you heard recently that we should listen out for? I've been enjoying checking out Rosie Frater-Taylor recently, really great singer songwriter. She's also a great guitar player. I see she launched her album On My Mind at Kansas Smitty's last year and it is nice to see vocalist Luca Manning in the band too - I really enjoy his work. Let’s play another track from the album and see if we can imagine a short story to go with it - how about Dove Stone? Another coffee? 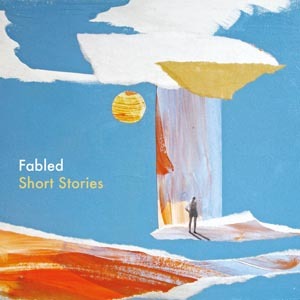 [Click here for details and track samples of the album Short Stories from Fabled. Click here for Sam Rapley's website]. [You are able to listen to the music at the same time as reading this article without leaving the page if you click here (recommended). This will take you to the article on another page on our website where some computers might ask you to allow the music to play on the page. Alternatively there are links to the music on YouTube etc. in the article below]. In pop music a super-group, a new grouping of musicians who have previously excelled either in solo careers or as members of other groups, is quite rare since musicians changing to a new group often presages the break-up of another. In jazz however musicians are rather more peripatetic and typically play in several bands without any repercussions. The musicians playing on the album 4 Wheel Drive - from Sweden: Nils Landgren (trombone and vocals) and Lars Danielsson (bass and cello), from Germany: Michael Wollny (piano), and Wolfgang Haffner (drums) - have certainly all had illustrious careers, and in some cases have participated in previous super-groups (Michael Wollny was involved in Out Of Land with Emile Parisien, Vincent Peirani and Andreas Schaerer; Lars Danilelsson joined with Tigran Hamasyan, Magnus Öström, Arve Henriksen and John Parricelli ‎on Liberetto). Click here for Lars Danielsson playing on the video album trailer for Liberetto. 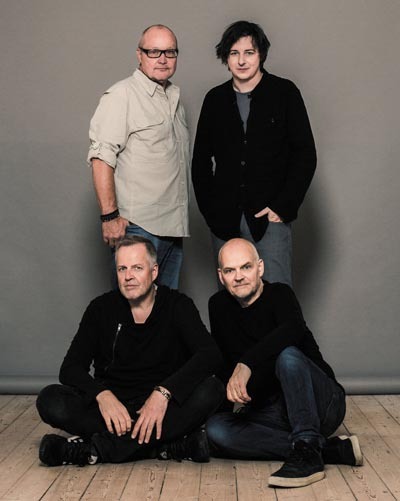 In fact, three of the four have played together quite a lot as in 2002 when Sentimental Journey featured Landgren, Danielsson and Haffner with Anders Widmark on piano while Eternal Beauty featured Landgren, Wollny and Danielsson with Johan Norberg on guitar and Rasmus Kihlberg on drums - so perhaps the term 'super-group' is not entirely appropriate. All of these albums were released on the ACT label. 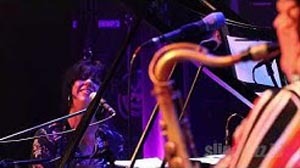 In 2003, Landgren (vocal and trombone), Danielsson (bass) and Haffner (percussion) played together in this videod version of James Taylor's Don't Let Me Be Lonely Tonight at Jazz Baltica with Esbjörn Svensson (piano) Pat Metheny (guitar) and Michael Brecker (tenor sax) - click here. 4 Wheel Drive is also released by ACT records, a company founded in 1992 by ex Warner International executive Siggi Loch. The company has gone on to release more than 350 albums. Quoting Siggi Loch, ACT records has been a project providing “music for people with open ears and an open mind”. ACT have long had a policy of facilitating new groupings of musicians from their stable and 4 Wheel Drive is surely a result of this policy, and with artists such as Nguyên Lê, Esbjörn Svensson, Nils Landgren, Michael Wollny, Viktoria Tolstoy, Lars Danielsson, Wolfgang Haffner and Youn Sun Nah there have been many "magic moments" from musicians introduced to each other by Loch. Loch describes the success of his label as playing a major part in the process by which European jazz became a major force in the world of music and testament to this is the fact that ACT has been voted 'Jazz Label of the Year' at the German ECHO Awards in 2010, 2011, 2012 and 2013. Early on, a critically acclaimed ACT success was the jazz symphony of Europeana which combines the rich tradition of European music with the language of jazz. This 1995 release was written by the English composer and arranger Michael Gibbs and won the annual German Record Critics’ Award. The album featured Joachim Kühn, Jean-François Jenny-Clark, Jon Christensen, Django Bates, Klaus Doldinger, Richard Galliano, Christof Lauer, Albert Mangelsdorff and Markus Stockhausen – the cream of contemporary European improvised music, and was accompanied by the Hannover NDR Radio Philharmonic Orchestra. But one of Siggi Loch's greatest successes must surely be the Esbjörn Svensson Trio or EST as they came to be known. Svensson was the keyboard player in Nils Landgren's band called Funk Unit and EST went on to record Live in Hamburg which became a modern milestone and was chosen as the best jazz album of the decade by the London Times in 2009. EST regularly topped pop as well as jazz album sales charts and became the first band from Europe to make the front cover of the illustrious US jazz journal Downbeat. ACT's greatest commercial success was Bugge Wesseltoft’s It’s Snowing On My Piano, an album of traditional Christmas songs played on solo piano, which perhaps highlights another part of the ACT business model which is to release music which while intellectual, is accessible to a wide audience. Click here to listen to EST with Where We Used To Live from the Live In Hamburg album. 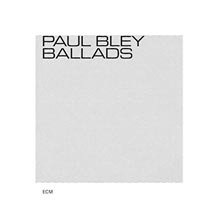 The 4 Wheel Drive album is firmly in the 'accessible' category with eight tracks of compositions originally by Phil Collins, John Lennon and Paul McCartney, Billy Joel and Sting, most of which feature vocals by Nils Landgren. There are also four tracks of 'new' jazz, one composed by each of the four musicians in the band, hence the title of the album. Nils Landgren is well known both for his red trombone and his vocals, which feature often in his band Funk Unit, and he is undeniably popular both in his native Sweden and in the wider world. 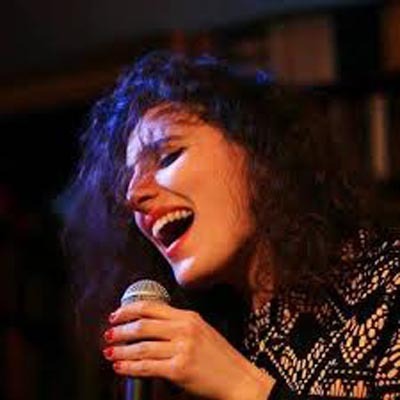 His voice is rather tender and he often mixes the vocals with trombone; the versions of Billy Joel songs with Michael Wollny on piano, She's Always A Woman and Just The Way You Are are particularly well interpreted. The other songs are Another Day In Paradise, Shadows In The Rain, Maybe I'm Amazed and If You Love Somebody Set Them Free, while Lady Madonna and That's All are played as a jazz instrumentals on trombone and piano without a vocal, and with both Landgren and Wollny improvising. The new jazz compositions are all too short, Polygon by Michael Wollny is a lively, rocking number which just takes off and flies and Lobito by Wolfgang Haffner is a lovely samba style piece. Le Chat Sur Toit (The Cat On The Roof) by Nils Landgren seems to be telling a story in which the normal routine as represented by melodic ensemble playing is suddenly shattered by Haffner's trombone solo, but after this interjection runs its course, life returns to normal and 4WD by Lars Danielsson is a great up-tempo piece which you just wish had gone on for longer. It is good news that we shall be able to hear more from Lars Danielsson when he comes with his group to the 2019 EFG London Jazz Festival. Click here for a brief video introduction to the album. Throughout the album the standard of musicianship and ensemble playing is, as one would expect from such experienced and accomplished musicians, excellent. Although some jazz purists may be put off by so many cover versions of modern popular songs this album is definitely worth a listen - musicians of this quality can quite frankly turn their hand to anything and make it sound great! Click here for details of the album and samples of the tracks. Further details are on the ACT site - click here. 'Mom was unhappy about me living all alone in a little apartment on 104th Street ....She was lonely without me ....She didn't know I had Joe Guy on the string then and I didn't tell her .....I tried to tell Mama she had the dog, Rajah Ravoy, to take care of her. Rajah was a skinny run-down mutt when Dr Carrington, a West Indian doctor friend of mine, had brought him to me to take care of ... I didn't have time to take care of him so I took him to Mom. Sometimes when I was working at Café Society I used to take him to work with me. .... This dog was amazing, he was so smart. In the morning Mom would leave the Bronx and take the bus to 99th Street and Columbus to open her restaurant. Rajah would stand by until she got on the bus, then he'd take off. When she got to the restaurant, there he was, waiting at the door to be fed. Sometimes he would bark and raise hell and try to keep Mom from going to work in the morning. She knew he was trying to tell her she shouldn't open up that day. And that dog knew what he was doing. She'd stay home and, sure enough, the Board of Health or somebody would be around to make trouble and there was nobody there. Rajah would go off by himself without any damn leash and go in Central Park lake to take a bath. The cops and the SPCA people would try to catch him, but he could outwit them any time and come highballing to the apartment, up the stairs. He could do everything, almost ring the bell. He could even make it all the way from the Bronx to my place on 104th Street. We could have thrown away our telephones, Mom and me. With Rajah we didn't need them. Mom loved that dog. And the day he died Mom said he was all she had to live for and she wouldn't last long after. And she was so right. 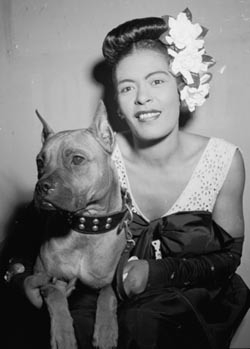 Billie Holiday went on to have a dog named 'Mister' and Amy Novesky's book Mister And Lady Day describes Billie's relationships with the various dogs in her life. 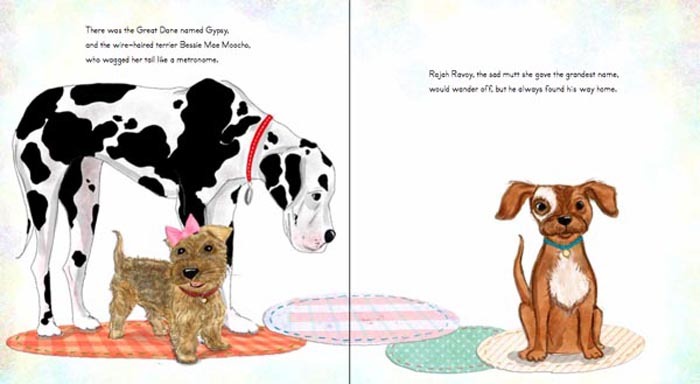 The book is illustrated by Vaness Newton and this is one of the illustrations. [You are able to listen to the music at the same time as reading this article and without leaving the page if you click here (recommended). This will take you to the article on another page on our website where some computers might ask you to allow the music to play on the page. Alternatively there are links to the music on YouTube etc. in the article]. 'Full Focus' is a series where musicians talk about a track from an album in detail. The idea is that you are able to listen to the track that is discussed as you read about it (click here). 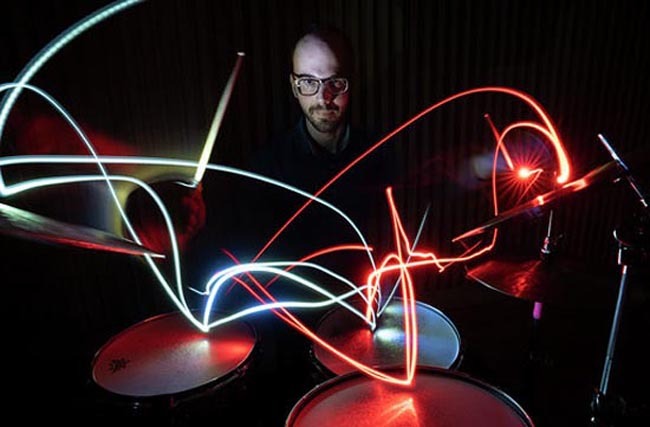 This month, drummer, composer and bandleader Marton Juhasz writes about the track Little Prayer from his album Discovery that was released in January 2019. A couple of months into the programme I decided to go for it and asked my bandmates to play my music. This recording became ‘Discovery’, my debut as a composer and the track I choose for this article is called ‘Little Prayer’ (click here). During that time I was listening to a lot of music from Africa, and the opening motif of the tune is definitely directly inspired by kora music, especially this beautiful father and son recording by Toumani Diabaté & Sidiki Diabaté: click here. 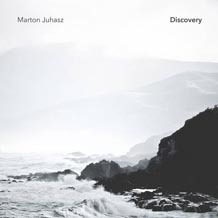 Each track from the Marton Jahusz's Discovery album is available to hear online click here and although you can listen to individual tracks as we have here, there are benefits from listening to the creative way this album has been produced and arranged as a complete work. The tracks are of very different length, some of the shorter tracks crafting atmospheric soundscapes - for example the opening Sea Of Uncertainty where bell-like voice notes introduce the album, or the final track Run which builds around a repeated theme. There is variety here too, try Industry where the music clearly reflects the title, or the gentle Spellbound. I really enjoy this album, its arrangements and in particular the way that Yumi Ito's voice is used in conjunction with other instruments - try the track Stino. Click here for purchase details and samples for Discovery. Click here for the recording by Toumani Diabaté & Sidiki Diabaté mentioned in Marton's article. 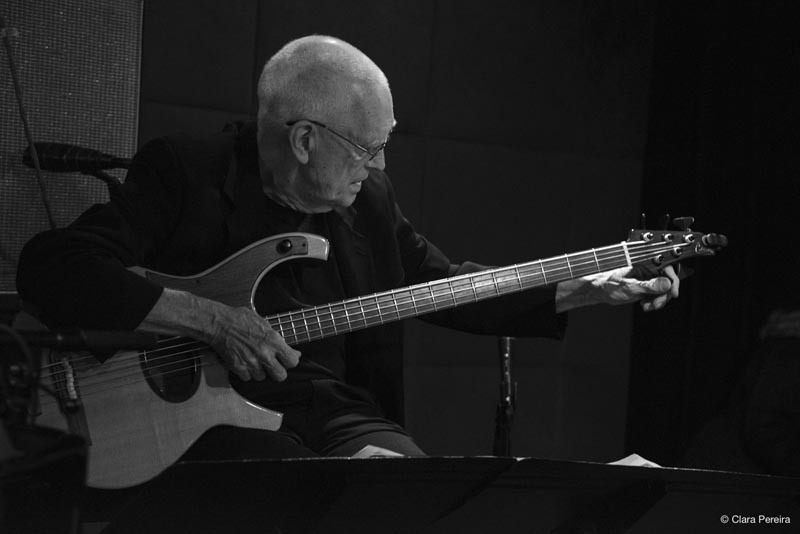 Bass player Steve Swallow was at the Jazz Standard in New York City on March 20th when he was photographed by JazzTrail photographer Clara Pereira. 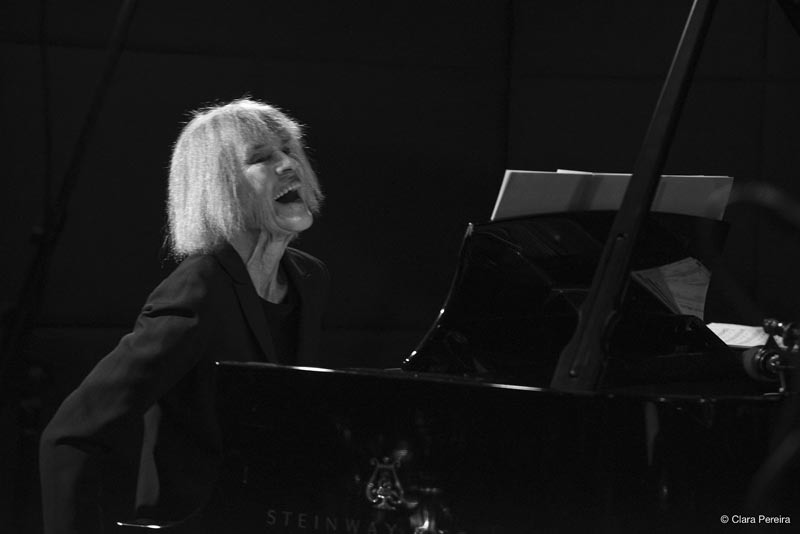 Steve was playing with pianist Carla Bley and saxophonist Andy Sheppard and Clara's images from the occasion are outstanding (click here). 'With the luxuriant ballad “Lawns” directing its touching melody straight to our hearts, the concert couldn’t have come to a better close. It was a beauty of a piece topping off one hour of precious music'. Click here for the full JazzTrail review and other photographs of the gig. Do You Have A Birthday In April? Last month, the Sun entered your sign. Like the Sun, now is a time for you to shine. Think 'Sun and Stars' as there is a star quality about you. 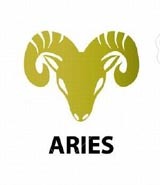 Aries usually have self-confidence and if you are the exception, you can be like the others this month. 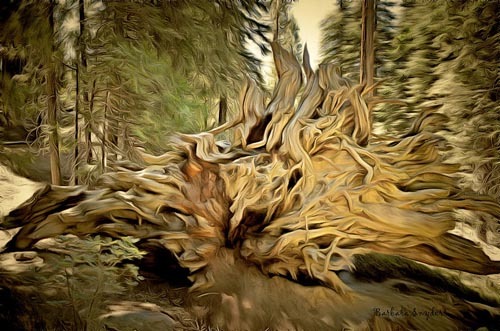 Venus enters your sign on the 20th, it had previously been in Pisces, your 12th house. Now in your sign and with that self-confidence, you should be in a good position with regard to relationships and finances. But don't neglect your health, and don't take everything for granted, physical exercise - in whatever form suits you - needs to go alongside a respect for your situation. For you, click here for a video of Martin Taylor and Stephane Grappelli with You Are The Sunshine Of My Life. The planets look as though they are going to be kind to you this month. With the exception of the moon, occasionally, there are no planets in stressful aspects with you. Planetary momentum is forwards this month, a sign that you could see progress in your goals.. Your spiritual house remains strong until the 20th and it might be a good idea to use this time to look inside yourself and think about your direction. A Taurus is usually 'in the world', but there can be benefit in taking time to step back from the daily routine. Added to this, watch out for Venus in solstice from the 22nd to the 25th. She changes direction in her latitudinal orbit at this time and this particularly could be a good time to pause and take stock. Staying with the 'spiritual', Mars, your spiritual planet, is in your money house this month, and Mercury will be in your spiritual 12th house from the 17th. This is a positive indication for your finances, especially if you use your spiritual intuition in making decisions. 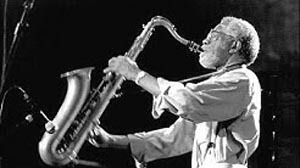 For you, click here for a video of the Joe Henderson 6tet playing Charlie Parker's Relaxin' At Camarillo with Joe Henderson (tenor sax); John Scofield (guitar); Tommy Flanagan (piano); Conrad Herwig (trombone); George Mraz (bass) and Bill Stewart (drums). Drumming is done in the blood. Thanks to writer and Blazing Flame bandleader Steve Day for letting us share this poem from his new anthology Curving Sentences. Curving Sentences is Steve's second book of poetry and it is a substantial paperback book of 121 poems taking in a variety of subjects. 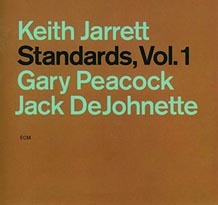 One section, Harmolodic, particularly reflects the author's interest in music with reflections on Miles Davis, Thelonious Monk, Ray Charles, Ornette Coleman, Wadada Leo Smith and a personal tribute to Steve's friend Keith Tippett Blueprint For Keith, written for the pianist and composer's birthday. Other poems include a lovely story about Ol' Coffers, a track across the Mendip hills where Edith Urr finds an old bronze coin and 'keeps her single piece of billion in a sow's ear her grandaddy gave her when he still kept pigs out in the orchard'; and the wonderfully descriptive The Nut Seller who 'lives frugally in Montsion, Palma ...... his eyes as hard as husks, yellow and red where they should be brown'. There are of course, many other curving sentences drawn from a wide variety of influences. 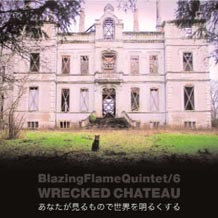 Steve Day leads the band Blazing Flame Quintet / 6 which released the album Wrecked Chateau on the Leo label in February where Steve presents his writings with a formidable band of improvising musicians (see Recent Releases). Click here for more about the anthology Curving Sentences. 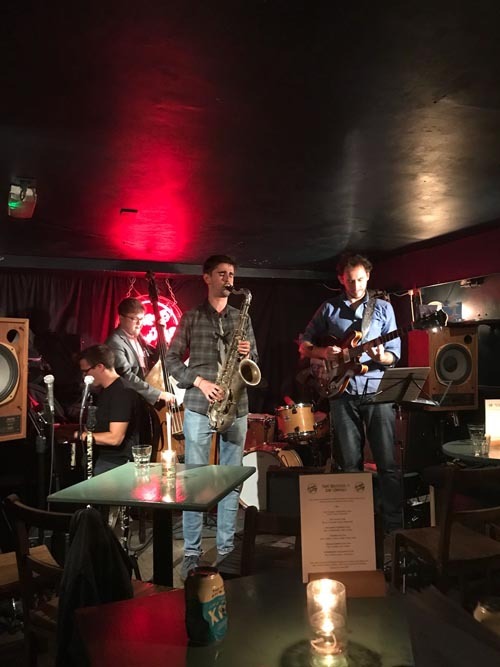 'We regulars are frequently spoiled by the roster of talent brought to us at the Watermill Jazz Club, with many musicians who I would not normally have expected to see at a regional venue of this size, but in the latest batch of gigs there was one name that particularly stood out for me. 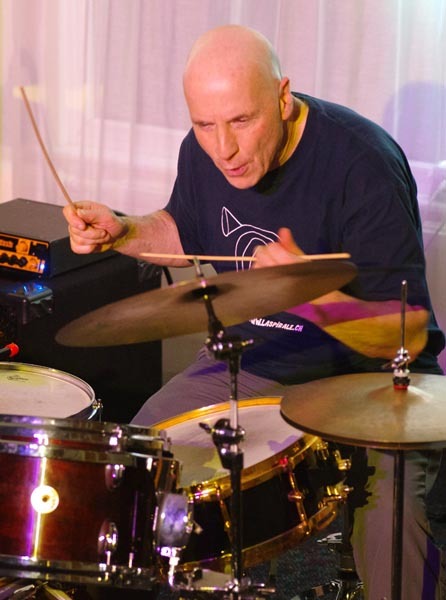 I’ve been an admirer of drummer Joey Baron ever since discovering him on CD as part of John Zorn’s Masada group but this was my first opportunity to see him live. And judging by the number of drummers in tonight’s audience I’m not his only fan. 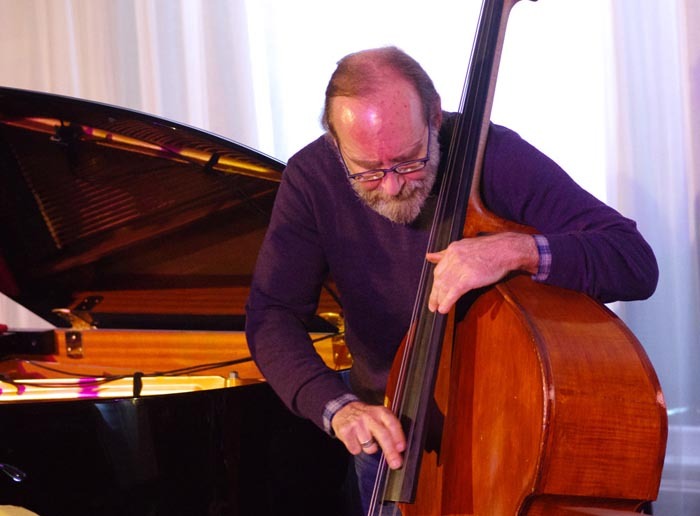 However Baron was not the only star name appearing tonight, pianist Marc Copland and bassist Drew Gress are also very well known at the more progressive end of the New York jazz scene, and all have extensive experience playing with a variety of other musicians. They have also often worked together as a trio and have recorded several albums under that configuration. Tonight’s other star, Stan Sulzmann is perhaps not such a rare catch, living just a few miles from the venue and appearing at the club with welcome regularity, but he is equally talented as a musician. I had been a little curious how his more mainstream approach would fit with the others, but reading up before the gig I learned that Sulzmann and Copland have a working relationship going back some years, even having recorded an album as a duo, and their styles melded seamlessly on the night. The two generous sets included material from Cole Porter, Duke Ellington, Miles Davis and Copland’s one-time employer John Abercrombie as well as several compositions from within the group, played mostly with a post-bop feel and with elongated solos. Copland’s piano playing was gently probing, Sulzmann was explorative but melodic, and on bass Gress was warm, woody and solid. Baron was a bundle of exuberance, driving and occasionally explosive and seemingly loving every minute as much as I did. Pictures © Brian O'Connor, Images Of Jazz. Brian O'Connor's hard back book, packed with hundreds of photographs is now available. It can be obtained from Brian at: Brian O’Connor, 48 Sarel Way, Horley, Surrey RH6 8EW. Tel: 01293 774171. Email: info@imagesofjazz.com. 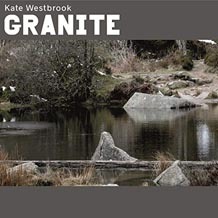 The book is priced at £25 plus £4.95 post and packing (UK). We are now seven days into March of 2019 and I find myself receiving an e-mail that reminds me this article is due, unfortunately as age creeps upon us all, I too need reminding these days. So onwards and upwards as we say, our subject for this Musical Missive should by rights have been as much of a household name as Ambrose, Jack Hylton and Henry Hall if not more so. 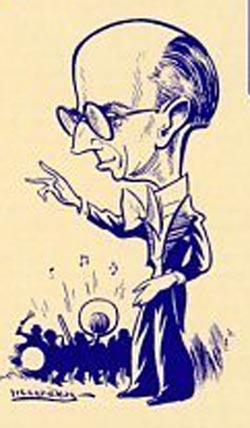 With some confusion about the place and year of birth one would expect James Edward Wilbur to be a mystery but fortunately there is plenty of information about this UK bandleader available (although some is conflicting). One can make one’s own decision as to which you choose. According to a number of sources, James Edward Wilbur, popularly known as 'Jay Wilbur', was born in 1898 (although one would expect this to be earlier given some of the documented history). Some say he was born in Bournemouth, Hampshire and others that it was Leamington Spa, Warwickshire. His mother was a wardrobe mistress and she and Jay's pianist/violinist father both worked for the Carl Rosa Opera Company. Now the opera company was based in London with many of its performances taking place in London and its surrounding towns so one would expect that Jay was born in Bournemouth rather than Leamington Spa as it is geographically closer to London, and taking into account that there were good transport links from the south coast to London. Jay started singing at a young age and along with taking up piano at the age of eleven, soon held his own position in the local church choir as well as singing in a few of the opera company’s productions. At this stage of his career Jay was also involved with a variety act called “Casey’s Court”. Part of their performance required that Jay be wheeled on stage in a soap box. It is recorded that the lad pushing the soap box was Charlie Chaplin, if this is so (and I have no reason to dispute this) it could not have been later than 1910 as this is when Charlie went to the USA, with this in mind it would mean that Jay was just twelve years old at this point, hence the confusion over Jay’s year of birth. The H2G2 website tells us: ‘Many people are familiar with the term 'Casey's Court', used to describe a gathering of unruly children. However, it is almost certain that those who use this term are completely unaware of its music hall origins. 'It's what my mum or dad used to say' is the common response when a person using this turn of phrase is asked exactly what they mean by that expression. 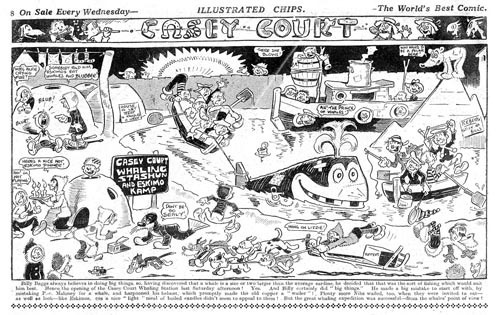 ... the origins of Casey's Court are rooted firmly in the main form of entertainment before the advent of the silver screen, in the twilight years of the music halls in early 20th-Century Britain. For it was here that the music hall star Will Murray chose to launch his twice nightly crazy show 'Casey's Court' on an unsuspecting public. The style of Casey's Court was similar to the popular 'gang show' ... The cast was made up predominantly of children, with Murray dressed in drag and failing to keep them in order as his character 'Mrs Casey'. ... At various times the promotion posters would be for 'Casey's Court Circus', the 'Will Murray Gang' and finally 'the Casey Circus (prop Harry Cardle)'. The young stage-struck Jay was both geographically and talent-wise well positioned and open to a wide range of opportunities from variety to straight theatre roles and as a boy soprano who could also accompany himself. Jay was in big demand. With his voice breaking at the age of sixteen Jay decided to concentrate on piano, it was also at this time that the movie business was fast producing silent movies and as a result these movie theatres required a pianist or even an orchestra to accompany the films. It was 1912 and at just 14 years old, Jay was chosen as pianist in some of London’s early movie houses and went on to form one of the first movie house orchestras, developing an early system of cue sheets to ensure that the musical score was consistent with the action of the movie. Without continually disputing Jay’s year of birth (and / or talent) this is another reason to suspect that Jay’s birth was earlier than documented. Holding the position of movie house pianist, and having to concentrate on the bad quality pictures, led to Jay developing bad eyesight. In 1916 Jay would have been 18 years old and conscription to the war had started. Due to his bad eye sight, Jay was graded as 'C3' which meant that he was only suitable for non-combat service. Although conscripted into service and having to give up the position of movie house pianist/orchestra leader he was able to continue playing at various restaurants and private parties in the evenings. In 1919, Jay formed his own dance band working on the continent for approximately three years. When he returned to England he became musical director of the Ashton and Mitchells Agency supplying dance bands for various venues around the UK. It was after a meeting with Edward, Prince of Wales at a high society venue that Jay was invited to play with his band at Buckingham Palace on a number of occasions. The position at The Ashton and Mitchells Agency came to an end in September 1923 when Jay joined the Emlyn Thomas London Band for their first recording session. Jay soon reformed his own band, and after various gigs at some of London’s high society venues including the Savoy and Piccadilly hotels, he returned to the continent including the Hotel Bristol in Oslo and the Casino in Spa, Belgium. Interestingly, it was from this town that the word 'spa' originates as it has become famous for its several mineral springs and the company 'Spa' that exported the mineral water across the world. 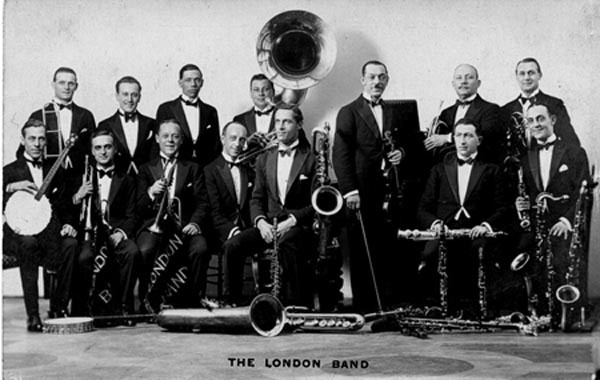 Back Row: Fred North (trombone); unknown (drums); Fred Cooke (piano); unknown (tuba); Emlyn Thomas (violin/leader); 2 unknown french horn players. Front Row: Billy Bell (banjo); 2 unidentified trumpet players, one of which is probably Jay Elms; Jay Wilbur (piano); George Clarkson (sax); Nat Star (sax); unknown (sax). After this tour Jay was asked to form an orchestra to play on a cruise to the West Indies. During the cruise the ship took a short stop over at New York. Jay ventured into the city and met with many of the local bandleaders including Paul Whiteman. It was as a result of these meetings that Jay realised the importance of proper and full orchestration in making a dance band to successful. March 1926 marked the start of Jay making various recordings with Leon Van Straten’s Orchestra; if my research serves me correctly most if not all of these recordings were issued on the card-based Duophone label and they seem to have sold very well making the band quite popular. Almost a full year later, Jay reformed his own band to play in London at the Tricity Restaurant in the Strand. He was there until 1928 when he left to become musical director of the new Dominion Gramophone Records Ltd, the orchestra Jay formed for the company featured some of the UK’s best musicians, notably Max Goldberg, Tony Thorpe and Billy Thorburn. It seems that to make the company look bigger than it was, almost all the recordings were issued under various band names. Click here for I'd Rather Cry Over You from 1928. The orchestra also made various recordings backing some of the day's popular vocalists such as Amy Brunton (a pseudonym for Elsie Carlisle). After much work and effort by all involved the Dominion Gramophone Records company was barely established by the time of the Wall Street crash, and it became a victim of the Great Depression. Click here for a recording of Deep In The Hollow Of A Hill with Jay Wilbur and his Band from 1929. Not hanging around and marking the start of a thirteen year association, Jay soon became musical director for the Crystalate Gramophone Manufacturing Company Ltd which as producers of the cut-price Victory and Imperial labels was much better established and placed to survive the hard times of the Great Depression. They were also keen on growing their British dance band output so as not to become dependent on the America market. To mark the new era for the company, the colour of the Imperial label was changed from mauve to red. The last of the Victory label issues was cut in 1931 with the label being superseded by the red and gold Eclipse label. Jay’s recordings for the Imperial label were issued under his own name but his recordings for the Victory and new Eclipse recordings were issued under various pseudonyms such as The Hottentots, The Biltmore Players, The Ambassadors Twelve, The Connecticut Collegians and The Radio Serenaders, to name but a few. One of Jay’s early Imperial recordings, Adeline, was in-fact issued twice in two different versions - the first a vocal version featuring Al Bowlly the second an instrumental version. 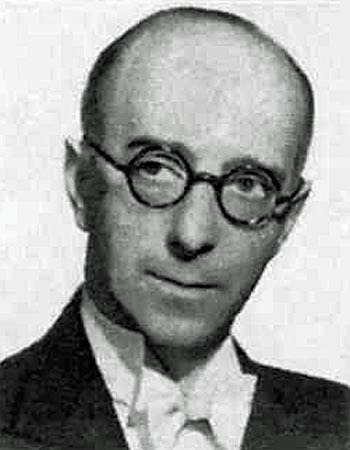 Radio was not a new medium to Jay as he had played various shows in 1927 for the new BBC public corporation (before 1927 the BBC was a private organisation). During his time with Crystalate he had secured his own radio programme and he continued to broadcast on both the Music While You Work and Hi Gang radio shows. 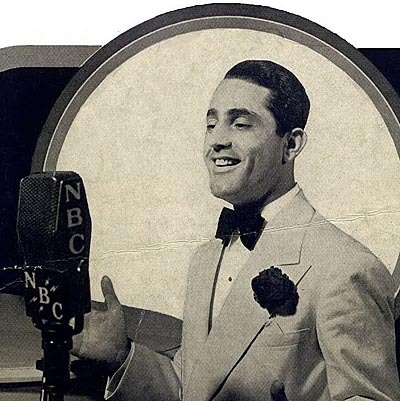 Click here to listen to Adeline from 1930 with Al Bowlly taking the vocal refrain. In 1932 with the Imperial label becoming dedicated to Jack Payne, Jay’s recordings ceased for Imperial and he concentrated on recordings for the new Eclipse label. The new “King of Records”, the Rex label was also to feature many of Jay’s recordings under his own name and various pseudonyms. Some of Jay’s recordings were also featured under his own name on a few of the Broadcast 4-in-1 sides. 1935 saw the Eclipse label reach one-thousand issues and the label ceased production being replaced by the new Crown label. Jay’s work never ceased and his recordings for Crown were issued under his own name and again various pseudonyms. One of the pseudonyms used to cover some of Jay’s recordings for Crown was the exotic Manuel Espinosa and his Rumba Band. The Crystalate Gramophone Manufacturing Company was acquired by Decca in 1937 and the Crown label was discontinued. With the arrival of 1942 Jay and his band started a tour of service camps as part of the war effort. As a result, his recording sessions with his Hi Gang Orchestra dwindled and by September 1943 had stopped completely. The war had a profound effect on Jay (as with almost everyone). 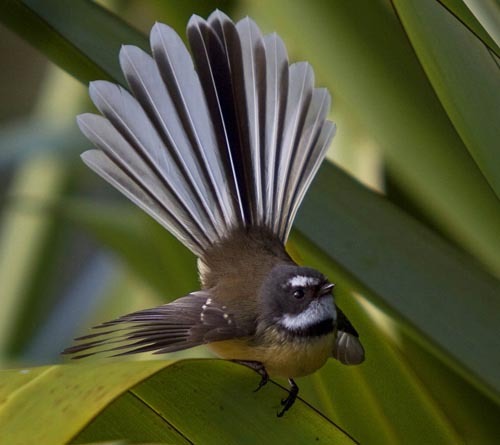 He lost his son, an aerial photographer for the RAF, at the age of twenty-one and along with an unforgiving work schedule this led to a fall in Jay’s health. He was told to rest and take it easy. When Jay returned to work he was faced with many changes to the music scene, but in his inimitable way he adapted very quickly by carving out a new career in light orchestral music. He left England in 1946 for New Zealand and then resettled in Australia in 1948 where he began broadcasting regularly with an eighteen-piece band. In 1958, Jay relocated to Cape Town, South Africa where he broadcast with his band 'The Firestone Strings' on the then popular Springbok Radio. Jay sadly passed away in 1968 while in Cape Town. It was with the publication in 1987 of the Rust and Forbes British Dance Bands On Record book that collectors were finally able to appreciate the full works of Jay Wilbur whether published in his own name or as a pseudonym. A large portion of Jay’s recordings were issued on cut-price labels such as the seven inch Victory, eight inch Eclipse and the nine inch Crown labels. As most of these mentioned releases were sold for around sixpence in Woolworths one would expect the quality to be low, but this could not be further from the truth. As a collector I understand that these recorded sides are still sought after and when found are still of reasonable quality, even after being extensively played. As a studio director Jay had access to many of the day’s top players and a lot of his recordings were issued under different names - perhaps this was why he has never qiite been remembered as a prominent name in the industry? .... and finally, click here for Jay Wilbur and his Band playing Glenn Miller's hit In The Mood in 1940 - the vocalists are The Greene Sisters. 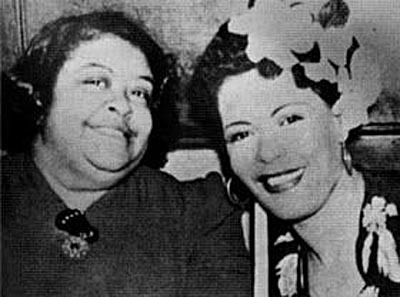 Does anyone know anything about the Greeen Sisters? I don't think they are the American Soul group? Alan Bond in Somerset writes: 'I was chatting to an old mate of mine a week or two back and the name of trombonist Jim Shepherd cropped up. Now I haven't seen Jim since before we moved down here in 1999 and I am curious to know if he is still around? I do know that it is his birthday in March and he would be about 83 if he is still going. We had a shared interest in that he is (or was) the owner of a vintage (pre 1930) Talbot 110 tourer. We had many a chat about Talbots because my late father was an apprentice at Talbot's works in Barlby Road, Kensington when he left school in 1927 at the age of 14. When I first knew Jim, his father was still around and I wanted to get the two of them together but sadly it didn't happen. It would have been doubly interesting in that dad was also a jazz fan, having bought his first record out of his very first pay packet. That record (St Louis Blues & My Mamma's in Town by Ted Lewis & His Orchestra on an 80 rpm Columbia) is still extant and in the safe keeping of a jazz friend of mine who lives in Rutland (NOT Leicestershire as he always insists) and who is custodian of the 78 collection that I inherited from my father. At least it still gets played'. If anyone knows of Jim Shepherd please contact us. John Westwood sends us details of the Charles N. Huggins Project that explores the history of Traditional Jazz in the San Francisco Bay Area from the Barbary Coast to the 1980s through historic images, recorded sound, articles, scores and film. Charles N. Huggins, a key player and founding member of the San Francisco Traditional Jazz Foundation (SFTJF), led the effort to expand the Collection to its present size. He supported numerous concert performances, educational outreach programs, and radio broadcast series to bring classical forms of jazz to large audiences nationwide. In light of his outstanding service, the SFTJF Board of Directors moved to recognize Mr. Huggins by naming this online exhibit, The Charles N. Huggins Project. On the website you can 'jump right into the materials and films using a 'Browse' tab; Click on 'The Collection' tab to read illustrated feature articles; Explore Turk Murphy's scrapbooks, or use the main chapter links by clicking on the thumbnail images. 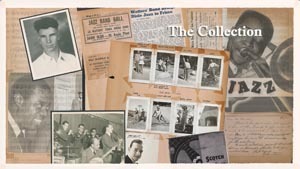 Click here for the San Francisco Traditional Jazz Collection at Stanford Libraries. Thank you to those people who have liked our Sandy Brown Jazz Facebook page and who have commented on posts. I hope that you have found the items there of interest. Using Facebook gives us a chance to share information that arrives between issues of What's New Magazine. If you do visit our Facebook page, please 'Like' us and 'Share' us with your friends. (If you are not on Facebook, please tell your friends about us anyway!). There is no charge for the Sandy Brown Jazz website. You can join our Mailing List - click here - and I will send you an email each time a new issue of What's New comes out. 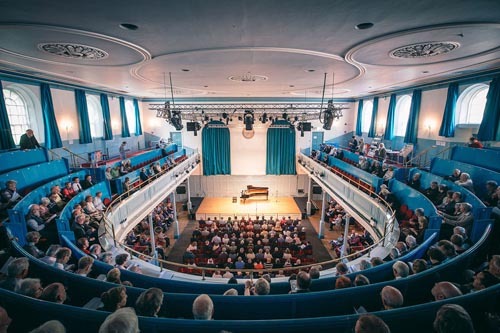 Rob Adams reports: 'Saxophonist Tommy Smith is to give four concerts this year as part of the Queen’s Hall in Edinburgh’s fortieth anniversary celebrations. 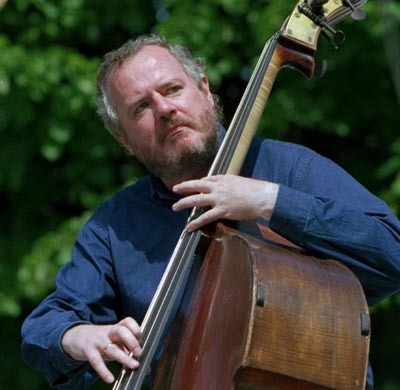 Smith, who was appointed OBE for services to jazz and education in this year’s New Year Honours List, is revisiting his much-acclaimed Glasgow Jazz Festival 1996 commission and subsequently successful recording, Beasts of Scotland to open the series on Thursday 18th April. Featuring a sextet comprising Smith and Andy Panayi (saxophones), James Copus (trumpet), Peter Johnstone and Calum Gourley from Smith’s ‘Coltrane’ quartet on piano and bass respectively, plus BBC Big Band drummer Tom Gordon, Beasts of Scotland will be linked by Scottish actor Tam Dean Burn reading the poems by the late Edwin Morgan that originally inspired Smith’s set of compositions. The Queen’s Hall, a former church on Edinburgh’s south side, opened as a music venue in 1979 and quickly became associated with top line jazz attractions, initially through the Platform organisation and latterly by hosting Edinburgh Jazz Festival and Scottish National Jazz Orchestra concerts as well as its own in-house promotions. Among the many significant musicians who have appeared there are Sonny Rollins, Nina Simone, George Russell, a young Wynton Marsalis and the Gil Evans Orchestra. 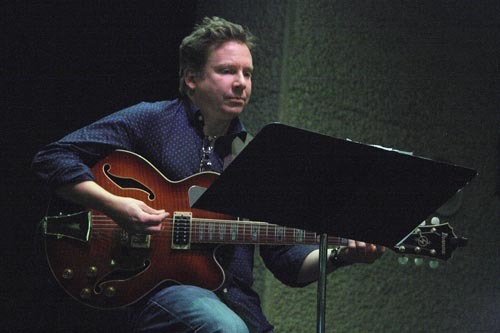 Smith, who grew up in Edinburgh, has appeared many times at the Queen’s Hall – singer Kurt Elling remembers going to see him play there when he was studying at the University of Edinburgh in the 1980s – and he celebrated his twenty-first birthday there with a concert featuring him alongside Chick Corea and Gary Burton. Following the Beasts of Scotland concert, Smith will feature in his duo with pianist Brian Kellock, with special guest, leading Gaelic singer Kathleen MacInnes on 13th June. 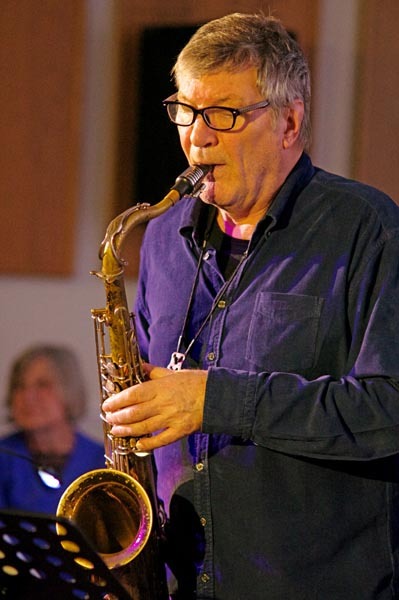 His widely acclaimed ‘Coltrane’ quartet, Embodying the Light, appears on 19th September and he gives a solo saxophone concert on 19th December. All concerts feature support by groups and musicians who have come through Smith’s youth orchestra and the jazz course he initiated at the Royal Conservatoire of Scotland in Glasgow. "The Queen's Hall has been a regular venue for me throughout my career," says Smith. "I can remember aspiring to play there as a young musician and it's been a pleasure to work there with the Scottish National Jazz Orchestra's many guests - Randy Brecker, Mike Stern, Benny Golson et al - as well as my own bands and with Arild Andersen's trio." Amsterdam-based trio, the Nordanian,s lead the latest influx of musicians from the Netherlands for the Going Dutch programme when they appear at Widcome Social Club in Bath on Tuesday 30th April. The group, which features violist Oene van Geel, guitarist Mark Tuinstra and tablas virtuoso Niti Ranjan Biswas, go on to play concerts in York (The Basement, 1st May) and Nottingham (Bonington Theatre, 2nd May) before going over to Limerick to play Dolan’s on 3rd May. They’re followed by the popular jazz-funk band Tristan, who celebrate the release of their new album, The Spice of Five with gigs at Swansea Jazzland (22nd May), Hampstead Jazz Club (23rd May) and Harrow Arts Centre (24th May). Going Dutch also has a strong profile at Manchester Jazz Festival, where vocalist and electronics specialist Sanem Kalfa and guitarist-violist George Dumitriu explore their Turkish and Romanian roots, harmonica player Hermine Duerloo and pianist Rembrandt Frerichs lead their quartet, and singer, pianist and trombonist Nani-Noam Vazana collaborates with local musicians. Going Dutch, which is organised by the Jazz Promotion Network with support from Dutch Performing Arts, also welcomes back Scottish-Dutch sextet LoLanders and the spontaneous music trio Under the Surface for concerts in England and Scotland during June. Click here for a list of 2019 Jazz Festival dates for the UK. Some still have to give details of their programme. 'We’ve recently been made aware of an attempted email phishing scam to jazz musicians in the United States claiming to be from Cheltenham Jazz Festival. The emails claim to be an invitation from Ian George (Director of Festivals) to perform at the Festival, conditional on the artists paying for visa costs. It includes information cut and pasted from the Festival website and offers a generous fee for multiple performances plus flights, accommodation and other benefits. It seems these emails are primarily being sent to databases of musicians in the USA. The emails are sent from various Gmail addresses and include an American phone number. All genuine festival offer emails are sent from cheltenhamfestivals.com email addresses, and our offices are based in the UK..... If you have received an email fitting this description, do not enter into correspondence and please do not make any payments ....' (Click here for the full text). Information has arrived about the following musicians or people connected to jazz who have passed through the 'Departure Lounge' since our last update. Click on their names to read their obituaries where we have them. 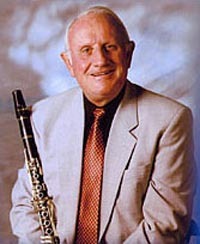 Mart Roger - UK clarinettist and bandleader from Greater Manchester. 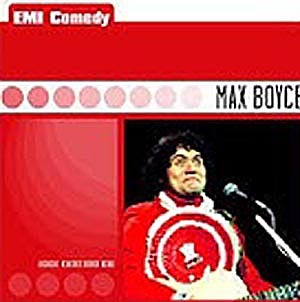 In the 1950s he led the Mart Roger Jazz Aces, the Hounds Of Sound (with John Mayall) and then joined the Zenith Six. Other bands followed including various groups with Mike Pembroke and Bill Smith. In 1984 Mart formed Mart Roger Manchester Jazz with Pete Staples and with various personnel changes and guests, they toured the UK and abroad. Click here for a video of Mart with his Manchester Jazz playing I Believe In Rainbows. Jacques Loussier - French pianist and composer well known for his jazz interpretations, arranged for trio, of many of the works of Johann Sebastian Bach. Founded in 1959, played more than 3,000 concerts and sold more than 7 million recordings. In the mid 1970s, the trio was dissolved and Loussier set up his own recording studio, Studio Miraval, which opened in 1977, where he worked on compositions for acoustic and electric instruments and recorded with musicians such as Pink Floyd and Elton John. He reformed the jazz trio in 1985, the tricentenary year of Bach's birth, and they recorded interpretations of compositions by other classical composers including Handel, Scarlatti, Mozart and Chopin. Loussier's last albums, My Personal Favorites and Beyond Bach, Other Composers I Adore, were released in 2014, on the occasion of his 80th birthday. Click here for Jacques' Bach To Bach Trio playing the Toccata And Fugue in D Minor. 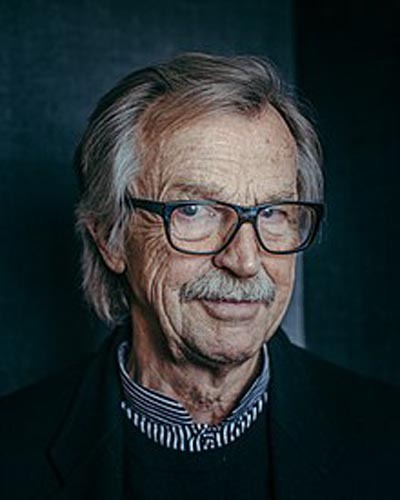 James Dapogny - American jazz musicologist, pianist and bandleader, active principally in the traditional jazz revival scene. 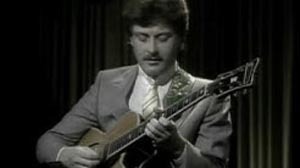 Dapogny led an ensemble called the Chicago Jazz Band, founded in 1975, and made many appearances on Prairie Home Companion. 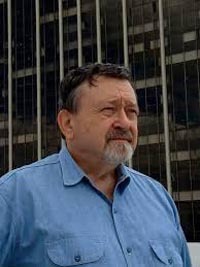 He earned a Ph.D in composition, and taught at the University of Michigan beginning in 1966. Dapogny wrote extensively about Jelly Roll Morton, including liner notes for the release of his Library of Congress recordings. 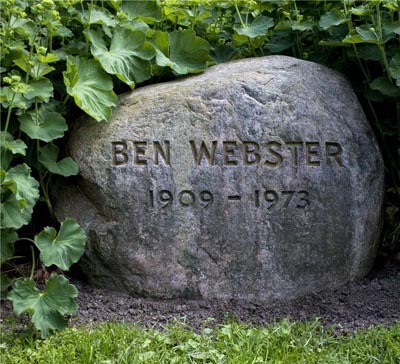 He also edited Jazz Masterworks Editions, a series initiated by Oberlin College and the Smithsonian Institute. Click here for a video of James Dupogny and Butch Thompson playing Fats Waller's Viper Drag. Not all jazz musicians who pass through the Departure Lounge are reported in the national press, so if you know of anyone's passing that we should mention, please contact us with a few words about them, or a local obituary if one is available. 'A contemporary, interactive and dynamic trio featuring three of Scotland's most respected jazz musicians. 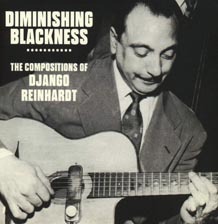 The CD consists of 9 original compositions and a version of Django Reinhardt's 'Nuages'. 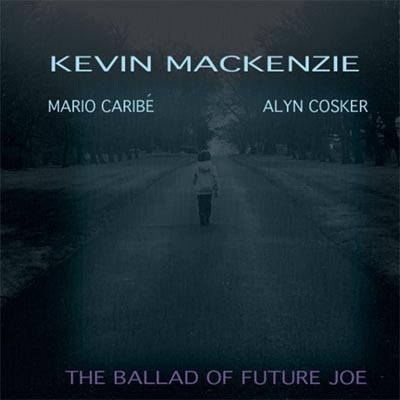 Kevin Mackenzie lives in Scotland. He has toured extensively and has recorded on many albums in a variety of styles. His groups have been featured along side guitarist Robben Fords power trio, Bob Berg and Mike Stern, the Crusaders and Seminal Jazz figure Ornette Coleman. In 2001 Kevin received the prestigious Creative Scotland Award , which he used to write and record music for his nine-piece band Kevin Mackenzie s Vital Signs. The CD gathered great reviews including album of the month in The Observer and CD of the week in The Guardian. Some musicians he has performed with include Boris Kozlov, Pete King, Benny Carter, Kenny Wheeler, Tommy Smith, Joe Locke, Bobby Wellins, Jim Mullen, David Berkman, Reid Anderson, Ari Hoenig ,Pettre Wettre. Jenna Reid, Alyth McCormack, John McCusker, Fiddlers Bid, Marie Fielding, Maggie Macinness, Sunhoney, Finlay Macdoald Band, Keep It Up, Karen Tweed, Brian Finegan, Gino Lupari, Loren Stillman, Peter Erskine, Randy Brecker , Kurt Elling and many others' (album notes). 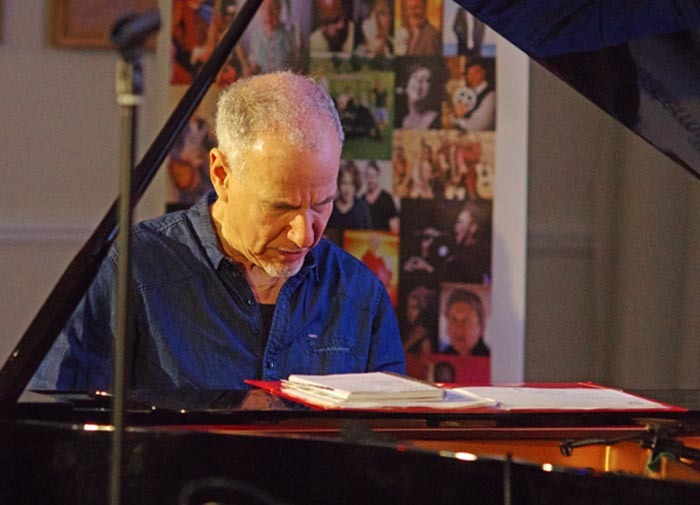 'Pianist, composer and bandleader, Gabriel Latchin has made a name for himself as one of the UK’s finest musicians, praised by critics and world renowned musicians alike. Known for his effortlessly swinging feel, deep repertoire and compelling performances, Jazzwise recently described his playing as “impeccable... the clarity of his lines evoking something of Hank Jones or Tommy Flanagan”. 2019 sees the release of The Moon and I, his second album as leader of the Gabriel Latchin Trio. Featuring a first-call London rhythm section - Dario Di Lecce and Josh Morrison on double bass and drums respectively - the set demonstrates the great strides taken both by Latchin as an individual and the trio as a whole since the release of his 2017 debut record Introducing. Of the number-one-selling CD, Renée Fleming said “Kudos to the Gabriel Latchin Trio for this first release. 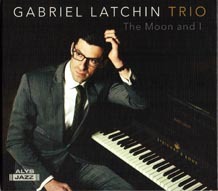 Elegant, tasteful and swinging!” Gabriel Latchin will be touring the music from his new release The Moon and I this spring. Taken from a lyric in Hubbell and Golden’s 'Poor Butterfly', the title is a tip of the hat to the opening tune he performed recently at Wigmore Hall with Christian McBride and Renée Fleming. Continuing with the trio format for his second album as leader, Latchin is supported by a first-call London rhythm section - Dario Di Lecce and Josh Morrison on double bass and drums respectively. Long-time collaborators, the trio have developed a unique sound: a hard-swinging 1950s aesthetic married with the contemporary vision of Latchin’s compositions. The Moon and I captures a moment in time from the composer’s evolving life. As a new father, his writing is inspired by his growing family: Arthur Go; Pippy’s Delight; Brigi, My Dear. Even the title of his Art Blakey tribute, Peek a Bu, has a childlike twist. These four originals are accompanied by seven unique arrangements of well known jazz standards in his inimitable style' (album notes). 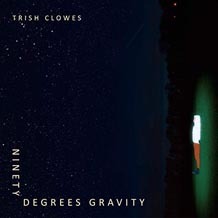 'Ninety Degrees Gravity, Trish Clowes' fifth album for Basho Records (and second with her current band My Iris), is inspired by the idea of a universal language and the images in Denis Villeneuve's acclaimed sci-fi film 'Arrival'. The album title is drawn from the scene in the film where the main characters enter the alien pod for the first time, forever changing their perception of reality - akin to the ongoing moments of revelation in the life of a musician. A music video to accompany the track 'Abbott & Costello' will also explore these themes. The notion of the vastness of space also inspires the track 'Dustlings' ("we are stardust" from Joni Mitchell's 'Woodstock'), with taking time out to contemplate the cosmos enabling us to liberate ourselves from the everyday. 'I.F.' celebrates new life by being dedicated to the sons of Ross Stanley and Chris Montague respectively. 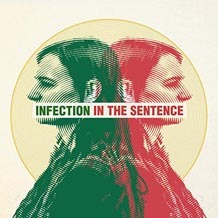 Initially developed through the activities of Emulsion VI (Clowes' ongoing cross-genre music festival), the recorded version incorporates samples of her band members' babies. Other compositions on the album have roots in musical influences or ideas. 'Eric's Tune' is dedicated to Eric Gravatt, drummer with Weather Report between 1972 and 1974. Some of the rhythmic ideas for this piece, and also some of the other music on the album, were inspired by the Live In Tokyo 1973 album. 'Lightning Les', included here in a dynamic live recording, explores some of the musical ideas Clowes and the bandmembers were working on at the time of writing, including saxophone multiphonics and 'western swing' on the guitar. With its title referencing the fast setting on the Hammond organ Leslie tremolo unit, it also seeks to reclaim the organ sound from the cliched seaside perception as a means of creating atmosphere and texture in creative, improvised music. 'Free To Fall', in which Clowes incorporates lyrics, was written after the band's successful 2017 tour, speaking to the trust between musicians and a nod to the Wayne Shorter Quartet and their album 'Without A Net'. 'Ninety Degrees Gravity' finds Trish Clowes exploring new musical settings, creating compelling atmospheres and using music to explore a range of wider concepts and ideas. It also captures My Iris continuing to evolve as a band (album notes). 'The Oxley-Meier Guitar Project has continued to be highly productive: following nearly 100 concerts on the back of their 2017 album, ‘The Colours Of Time’, they have now recorded an album of brand-new, original pieces in their quartet format, but also featuring the great multi-percussionist, Keith Fairbairn. As ever, all of the pieces have been arranged so that they can be performed live in either duo or quartet line-ups. On the album, Pete and Nick have continued to use many varying types of guitars: Fretless 11-string (Glissentar), acoustic and electric 12-strings, slide, 7-string nylon, sitar guitar, fretless guitar, jazz guitars etc. The Oxley - Meier Guitar project began working in earnest, following their second release in 2015, ‘Chasing Tales’, which was supported by three tours, totaling 90 dates. Pete and Nick then toured the UK and Europe a further three times, promoting ‘The Colours of Time’, also performing at several major jazz festivals over this time. Expect a dazzling display of contemporary fare, ranging from Turkish panache to soundscapes of latin America to English pastoralism. Hear this played on nylon string, steel string, electric, 12 string, fretless, slide, guitar-synth, glissentar guitars and more! (album notes). 'This new line-up of Blazing Flame exudes quality. Wrecked Chateau is an exploratory album containing eight tracks harbouring words of targeted power - "…so roams the wolf pack through the Landfill of Eden"; instrumentally this is structured improvising of a high order. Mark Langford's tenor break on Flaming Gershwin is a precise instant signature running abstraction very deep. The UK has a unique six piece quintet; part basking in non intentional 'jazz-rock', yet at the same time imploding such a description by delivering cutting edge song/poetry. In its own way, a breakthrough revelation.' (album notes). 'A Wrecked Chateau is open to the elements. The cover photograph captures a moment of temporary residence in France. This old habitat has access to the sky. Ruin is not always the end of the road. There are many journeys within these songs, as well as in the improvisations that describe them .... Global travel over long distance creates wreckage. Money trails carbon without counting the environmental fallout. People with little money trek continents to find shelter in an attempt to build a safe haven, whether long term or an interim encampment. Sometimes we wreck the best of what we have. The title song has a line that reads: Light up the world with what you see. It is possible to find hope within the rubble' (Steve Day). 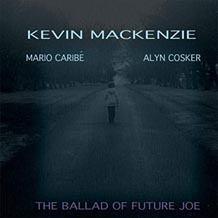 ''The thoughtful notes of the bass clarinet accompanied by the double bass played with the bow introduce Snap Shots of the Boy…… In the middle of engaging solos, comes the violin entwined with the trumpet played with a mute, then the verses of a poet who truly has so much to say within the current contemporary music scene' (Music Zoom, Italy). Kate Westbrook (vocals); Roz Harding (saxophone); Mike Westbrook (piano); Jesse Molins, Matthew North (guitar); Billie Bottle (bass); Coach York (drums). We are indebted to Filipe Freitas for details of many American and some other releases. Filipe and photographer Clara Pereira (see the 'Lens America' article in What's New) run JazzTrail in New York City. They feature album and concert coverage, press releases and press kits, album covers and biographies. They are valued contacts for Sandy Brown Jazz in the United States. You can read more about Filipe and Clara in their 'Tea Break' item with us if you click here. 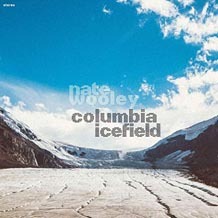 Nate Wooley (trumpet); Mary Halvorson (guitar); Susan Alcorn (pedal steel); Ryan Sawyer (drums). 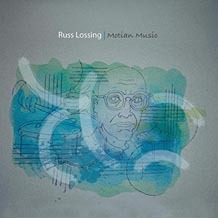 Russ Lossing (piano); Masa Kamaguchi (bass); Billy Mintz (drums). 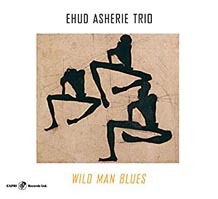 'The New Yorker calls Ehud Asherie 'A master of stride and swing' and his latest recording 'Wild Man Blues' showcases his mastery of these styles. You can hear the influences of James P Johnson, Fats Waller and Bud Powell in his playing. Joining him are Peter Washington on bass and Rodney Green on drums. Asherie imbues his performances with musical surprises and a sense of humor as he weaves through music from all eras of jazz, from Louis Armstrong to Charlie Parker. Also included are two pieces influenced by time spent living in Brazil. Asherie is a first call pianist for many New York musicians for both recordings and gigs (album notes). 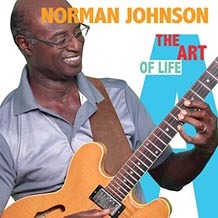 'Norman Johnson's The Art of Life is a beautifully crafted recording. Featuring five songs penned by Johnson and one written by his longtime friends and music companions, Alex Nakhimovsky and June Bisantz. We are given groove, beauty, and a message. Changing directions from projects of the past, Johnson has included in this recording, two vocal songs which show a different side of his writing and playing. Johnson always keeps it smooth and this recording is no exception. Slide is a slick, groove-oriented song which features Chris Herbert on alto sax. Moving to a different sound for Johnson is his song Sing On, which features the wonderful vocals of Grayson Hugh. In what has always been a troubled world, this song is Johnson's message of hopefulness for all of us. Old Skool brings a 70's vibe with a modern sound. It's totally guitar driven swing. The title cut, The Art of Life, was inspired by Stewart Stephenson's painting Sassy Wildflowers. It is amazing how visual art and music can elicit the same emotions. The song is a picture in sound and includes the beautiful background vocals of Atla DeChamplain. It's You is sung by Johnson's longtime friend, June Bisantz. When Johnson first heard the song, he knew that it had to be included on his next recording. It's infectious. This song offers so much - a latin groove with Bisantz's lush vocal and Johnson's sweet guitar. Summer Dance is what the title says, a song that just makes you think of warmth and movement. Johnson says I wrote this song in the summer of 2016 while on vacation in Florida. Driving along the coast in Sarasota and heading over the bridge to St. Armands Island, the view was so beautiful. This melody came to me that day. Art and music, sight and sound, The Art of Life is for all of your senses. This recording brings a variety of sounds to your aural palette and like a good painting, can make you think, imagine, and maybe, smile (album notes). Jeremy Pelt (trumpet); Victor Gould (piano); Frank LoCrasto (Fender Rhodes, effects); Chien Chien Lu (vibraphone, marimba); Vicente Archer (bass); Allan Mednard (drums); Ismel Wignall (percussion). 'Composing music inspired by painting dates back as far as the 12th century (Hildegard of Bingen) and, in Jazz, Duke Ellington's "Degas Suite" comes to mind along with Branford Marsalis's "Romare Bearden Revealed." But on his new album, Jeremy Pelt may be the first jazz artist to examine the relationship between music and sculpture. The five-movement "Rodin Suite" muses not only on works the French sculptor August Rodin left us, but how his art might have evolved if he were still with us today. 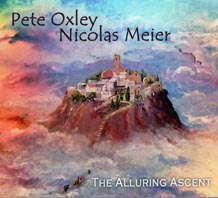 Added to Victor Gould, Vicente Archer and a few other of his "regs," Pelt has added the guitar of Alex Wintz, the vibes and marimba of Chien Chien Lu and the exotic percussion of Ismel Wignall for an ensemble sound capable of delicacy and color as well as full-on modern jazz shouts. A thoughtful and thought-provoking recording from, you guessed it, Jeremy Pelt, the artist' (album notes). 'Jeremy Pelt is a terrific trumpet player and bandleader whose records offer enough consistency to make us search for new material. He is also an extremely reliable sideman with important contributions in projects by Vincent Herring, Ralph Peterson Jr., Wayne Escoffery, and more recently, bassist Ben Allison. 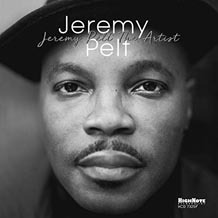 His new outing, Jeremy Pelt The Artist, finds him fronting a dynamic group with Victor Gould on piano, Frank LoCrasto on Fender Rhodes and effects, Chien Chien Lu on vibraphone and marimba, Vicente Archer on bass, Allan Mednard on drums, and Ismel Wignall on percussion. The album’s first five tracks constitute The Rodin Suite, a compositional effort inspired by the work of French sculptor Auguste Rodin. Like the sculptor himself, Pelt doesn’t rebel against the past, but arrange everything in a clever way, introducing new elements that shape the music with a winsome modern feel. ...... This is deftly composed material put in practice with taste by a sophisticated new group that works pretty well together' (JazzTrail). 'Award-winning drummer Marton Juhasz presents Discovery, his debut album as a bandleader. Featuring 8 musicians from 4 continents, the record is the result of a year of rehearsing and performing as part of Wolfgang Muthspiel’s pioneering Focusyear Program in Switzerland. Under the tutelage of some of the most respected names in jazz including Django Bates, Kurt Rosenwinkel, Avishai Cohen and Joshua Redman, the musicians spent 12 months together, focused on developing both individually and as an ensemble. The result: this beautiful, daring album of originals, inspired by the artist’s search for a more personal compositional voice and an effort to make sense of the dissonance that is part of human existence' (album notes). 'In September 2017 I moved to Basel, Switzerland to take part in a newly created artistic diploma program called 'Focusyear'. The idea behind the programme was to create an ensemble of international musicians who would then rehearse and perform together for a year under the tutelage of about a dozen of visiting artists, an incredible opportunity to develop musically and artistically. The final octet chosen for the program was truly international, featuring musicians from the USA, Argentina, Spain, France, Hungary, Switzerland, Poland and Norway. Typically we would learn a new concert repertoire every two weeks and then perform the music with the visiting coaches at the hosting school's club at Jazzcampus, Basel. Since we were rehearsing and performing almost every day, the connection within the ensemble was developing very fast. I’ve played in many bands before, but I’ve never had luxury of getting to know the other musicians on such a deep level. I saw that this would be probably a once in a lifetime opportunity to record with such a tightly knit group. A couple of months into the program I decided to go for it and asked my bandmates to play my music. This recording became ‘Discovery’, my debut as a composer (Marton Juhasz). Marilyn Mazur (percussion, balaphone, kalimba); Lotte Anker (saxophone); Josefine Cronholm (voice, percussion); Sissel Vera Pettersen (saxophone and vocals); Hildegunn Oiseth (trumpet, goat horn); Lis Wessberg (trombone); Makiko Hirabayashi (keyboards); Ellen Andrea Wang (bass); Anna Lund (drums); Lisbeth Diers (percussion). 'In 1978, Danish percussion master Marilyn Mazur founded the bold, innovative Primi Band, an all-female music-theater ensemble that drew from a deep well of primal energy and experimental audacity. Four decades later, Mazur reinvents the core concepts in an adventurous new fashion with Shamania, a gathering of ten of Scandinavia's most inventive and respected female musicians. Whereas Primi Band culled its members from risk-taking but nonprofessional musicians, Shamania comprises ten highly respected (but equally daring) artists from the Danish, Swedish and Norwegian avant-jazz scenes. Their stunning debut album is a vivid combination of primeval forces and virtuosic musicianship, fiercely original imaginings and deeply organic emotions, communal energies and singular voices (album notes). 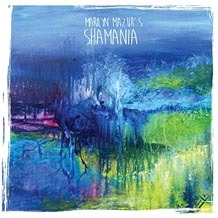 'Percussion mastermind Marilyn Mazur gathers a 10-piece ensemble composed of female Scandinavian musicians and amazes us with 16 tremendously rhythmic numbers in her new project, Shamania. A former collaborator of Miles Davis and Jan Garbarek, Mazur alludes to instinctive, primitive rituals in a buoyant session that establishes eclecticism as a priority. The power of women in jazz is reflected here, and saxophonist Lotte Anker just confirms it through fiery exteriorizations full of timbral color on the opening and closing tunes, “New Secret” and “Space Entry Dance”, respectively. The impeccable voice of Josefine Cronholm invites us to an Eastern litany on “Rytmeritual”, a liberating free-verse poem denoting the entrancing rhythm as a fundamental agent. Beautiful exotic sounds also emerge from “Shabalasa” and “Kalimbaprimis”, ecstatic Afro-style celebrations that bring Mazur to the center ...... Shamania made me travel many miles through a colorful folklore that appeals to multiculturalism. It’s an important exertion that celebrates music in its entire dimension' (JazzTrail). 'The contemporary sound is strong in this sparkling, eponymous debut from new European quartet Scopes, led by Austrian drummer Mathias Ruppnig and German bassist Tom Berkmann. Originally meeting up when based in New York for several years, performing there in various projects with French pianist/keyboardist Tony Tixier, they created the basis of a striking collaboration completed by acclaimed Dutch alto saxophonist Ben van Gelder. Their roots in jazz tradition are evident, yet Scopes' quest for a "sense for the pulse time" has shaped a young, sleek sound world incorporating wider influences - a melting pot of original, melodic composition and improvisation infused with textural synthscapes and liquescent sax. It's a confidently joyous partnership, Tom Berkmann describing their band name as "a frame inside which we can be endlessly creative - a 'musical playground' where we are able to open up in different ways." The freshness of Ruppnig's "Echo of Their Own Prejudices" is a great indicator of the environments which the band inhabit, an ebullient groove underpinning van Gelder's characteristically mellow, tumbling tones, complemented by Tixier's portamento synth lines and rapid piano runs. Other tracks include the almost Weather Reportian sax-and-synth pairing in eager "Balance". The analogous swan-like atmospheres in "Whistle" find Ruppnig providing its percussively busy undercurrent as synth auras glide over, contrasted by the seductive samba-swing of "Alter Ego". (album notes). 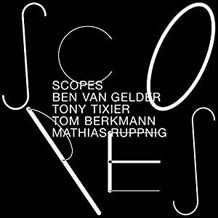 'SCOPES is an Euro­pean jazz en­semble rooted in Berlin, Pa­ris and Am­s­ter­dam. The group consists of Ben van Gelder – alto saxophone, Tony Tixier – piano, Tom Berkmann – bass and Mathias Ruppnig – drums who met in New York, where they each spent several years and developing their individual musical style. These four individual composers have joined to form a whole and create a distinct band-sound. While their music is deeply grounded in the jazz tradition, their songs serve as a platform to explore new realms through improvisation. Like a kaleidoscope, their music evolves through each concert and creates a unique experience for the listener. The acoustic quartet produces a transparent, modern sound that stands out from the classic line up of alto saxophone, piano, double bass and drums' (Whirlwind Recordings). 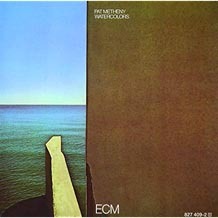 "Metheny's compositions are perfect vehicles for his guitar, which blends smoothly with the breathtaking ensemble work." The recording is the first of Pat's albums to feature Lyle Mays, an important partner for the work ahead: "You can hear them reaching toward the sound that would burst forth a year later on the Pat Metheny Group album", Down Beat would later note. And with Danny Gottlieb on drums, three quarters of the Metheny Group is present here. The personnel of Watercolors is completed by Eberhard Weber, with whom Metheny had already collaborated creatively in Gary Burton's band. "Guitar wonder Metheny has made an astoundingly tasteful and free flowing record here" the Massachusetts Valley Advocate declared. (album notes). '..... refreshing to hear Mays on piano before synths took hold ... Those choirs of different-voiced guitars are also there .... And, of course, there's his love of a feel good 'let's all be chums' melody .... a typically unfussy ECM reissue: no extras: but that's what you get from Metheny of the time: lyrically fresh and unburdened' (Andy Robson in Jazzwise ****). 'AVID Jazz continues with its Classic Album series with a re-mastered 2CD release from Helen Merrill, complete with original artwork, liner notes and personnel details 'Helen Merrill'; 'Dream Of You'; 'You've Got A Date With The Blues' and 'The Nearness Of You' We got another live one! We music fans at AVID are delighted to present our tribute to one of the greats, perhaps slightly and unjustly unsung greats of the jazz vocal world. Miss Helen Merrill born 1930, just 89 years old and by all accounts, remarkably and wonderfully, still touring and performing. Miss Merrill, we are honoured to present four of your greatest albums for our listener's pleasure. 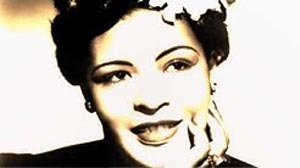 Noted for her emotional and sensual performances, Helen began her singing career at the tender age of 14 years in 1944 when she began singing in jazz clubs in the Bronx. It is surely a great testament to her wonderful talent that for her debut album 'Helen Merrill' she was accompanied by none other than The Clifford Brown Sextet. And if that weren't enough for her second outing 'Dream Of You' she was joined as arranger and producer by the legendary Gil Evans who would soon be moving on to produce and arrange the legendary Miles Davis classic Kind Of Blue. Just a few other great names heard here on Helen's fine quartet of albums include Quincy Jones, Barry Galbraith, Oscar Pettiford, Bill Evans, Jerome Richardson, Hank Jones, Art Farmer, Frank Wess, Kenny Dorham and Bobby Jaspar. The sound of Helen Merrill is admirably described in the liner notes of her fourth release 'You've Got A Date With The Blues'... 'Every performance by Helen Merrill whether in an intimate East Side night club or in a recording studio is charged with a full heated surging emotional content that communicates immediately to every sensitive listener'. (album notes). Harold Land (tenor saxophone) with various musicians. 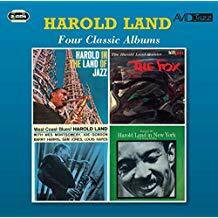 '... a re-mastered 2CD release from Harold Land, complete with original artwork, liner notes and personnel details 'Harold In The Land Of Jazz'; 'The Fox' 'West Coast Blues' and 'Eastward Ho! Harold In New York' AVID jazz continues its mission to re-instate some of the lesser known or perhaps under-appreciated jazz musicians from the golden age of jazz. Here we feature tenor sax giant, Harold Land who started his musical career as a fiercely hard be-bop player with the Clifford Brown / Max Roach quintet of the early 1950s. Moving out to the west coast he hooked up with bassist Curtis Counce for a series of Counce led albums in the late 1950s (AMSC1196). He can also be heard as sideman alongside such names as Elmo Hope, Herb Geller, Gerald Wilson, Gerald Wiggins, Victor Feldman, Shorty Rogers and Thelonious Monk. Our featured 'Land-mark' albums come from his late 1950s, early 1960s period and include such fine jazz players as Elmo Hope, Leroy Vinnegar, Frank Butler, Carl Perkins, Wes Montgomery, Louis Hayes, Joe Gordon, Kenny Dorham and another fine trumpet player, the rarely heard and enigmatic Dupree Bolton' (album notes). Click here for our page of venues hosting live jazz in the UK. Please let us know of other venues together with their website addresses, or please also let us know if you discover any of the links on the page don't work. Mike Forbes is a member of the Woking Area U3A and active in the Jazz Appreciation Group. He ha’s given presentations to other groups and is willing to travel in Surrey and surrounding areas to give his talks, which consist of music tracks with commentaries. Rather than focus on a particular jazz group or soloist he takes a theme and follows it chronologically from early to modern jazz. Topics include: Women in Jazz; Is There Less Improvisation In Jazz Than We Think? ; Twelve Bars; Time After Time; Best of Buddies; and, as an exception to the rule, Unexpected Satchmo. No payment required although a little towards cost of travel would be appreciated. Just a CD player (and PA if it’s a very big room) is all that’s needed. Similarly, Roy Headland who gives occasional talks to Norwich Jazz and Blues Record Club is offering to give talks with music to other groups in the Norwich area. A recent talk 'A Jazz Tour of Norwich and Norfolk' to an audience of 60 had the organiser saying: "Thank you for giving us such an informative and enjoyable evening,full of musical stars.The feedback was good and we hope to see you back with part 2." Other talks Roy has given include: Condon Jam Sessions; Clarinet Kings of Swing; Tommy Ladnier -"Mandeville to New York "; and a talk to Rotary on "The Winter Solstice" (their request) on Dec 21st which I managed to link in with Artie Shaw and called "The Shawtest Day"! Roy's email address is: royheadland@gmail.com.